Apple iPad Air 2 (iPad 6), iPad Air (iPad 5), iPad 4, 3, 2, 1 & iPad Mini 4, 3, 2, 1, iPad Pro etc. 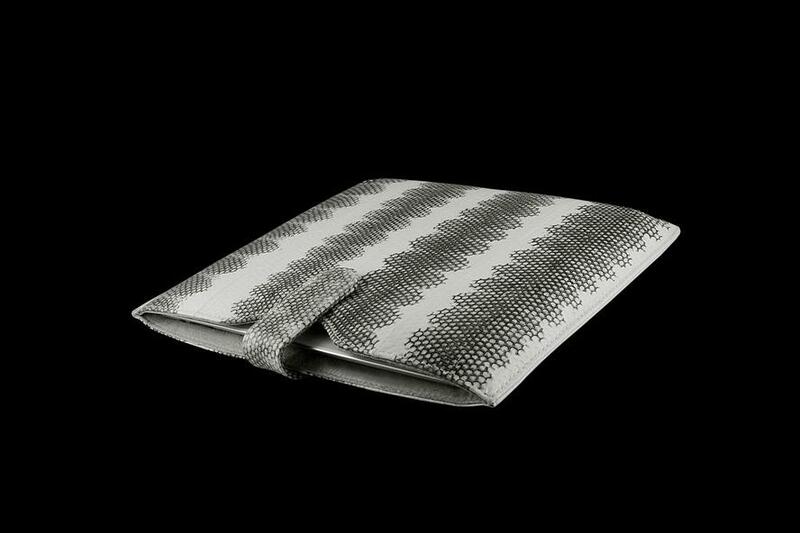 As well as Cases, Covers, Bags & Accessories for APPLE iPad, iPhone, MacBook etc. 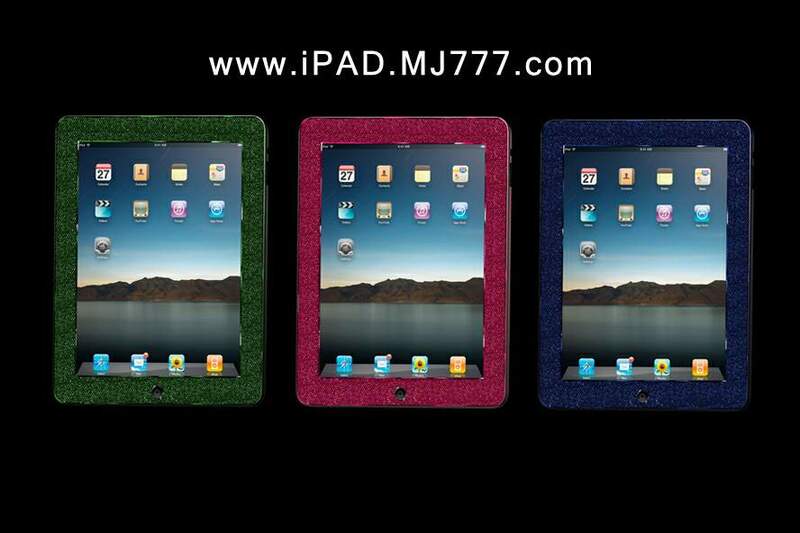 Luxury and luxury edition of the Apple iPad tablet Art Studio MJ. All products are customize limited edition. For custom-made ​​all zodiac signs, coat of arms and other emblems of our customers. 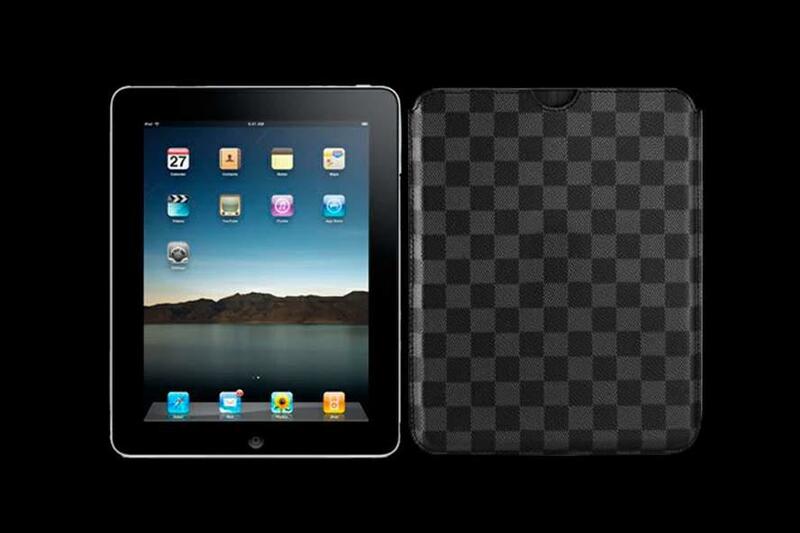 Individual tuning of MJ is only based on original and certified products Apple iPad. Customize Any Model iPad - Apple iPad Air 2 (6), iPad Air (5), iPad 4th Generation, New iPad 3, iPad 2, iPad 1 etc. Tuning & Modding Any Model Apple iPad Mini 3, Apple iPad Mini with Retina Display, iPad Mini 1 etc. 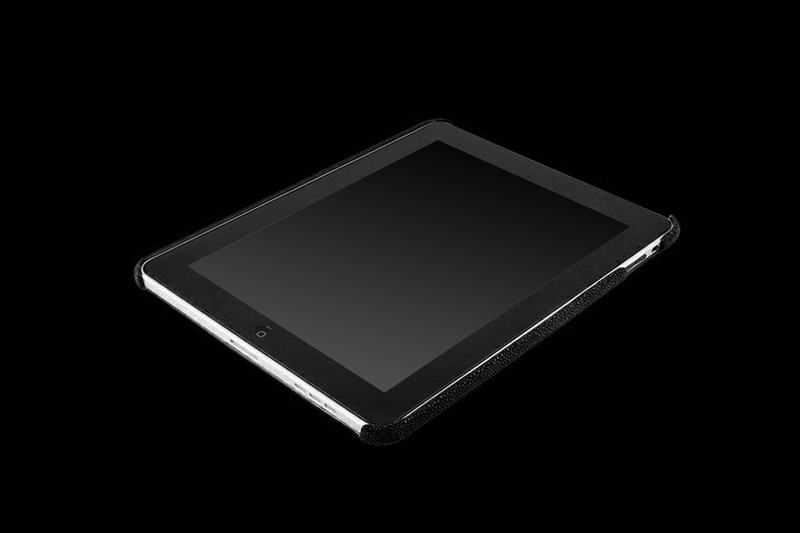 Exclusive & Luxury Customization Any Model Apple iPad Pro, with Large Retina Display 12,9". Apple iPad Air 2 Wood MJ Limited Edition - Mahogany, Ebony, Amaranth, Karellian Birch, Blackwood etc. 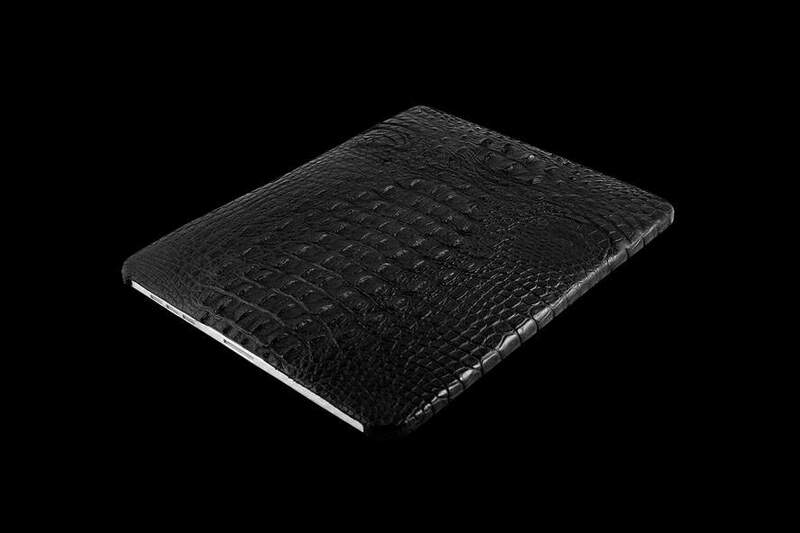 Apple iPad Air 2 Exotic Leather MJ Luxury Edition - Genuine Skin: Python, Crocodile, Stingray, Ostrich, Shark, Iguana etc. 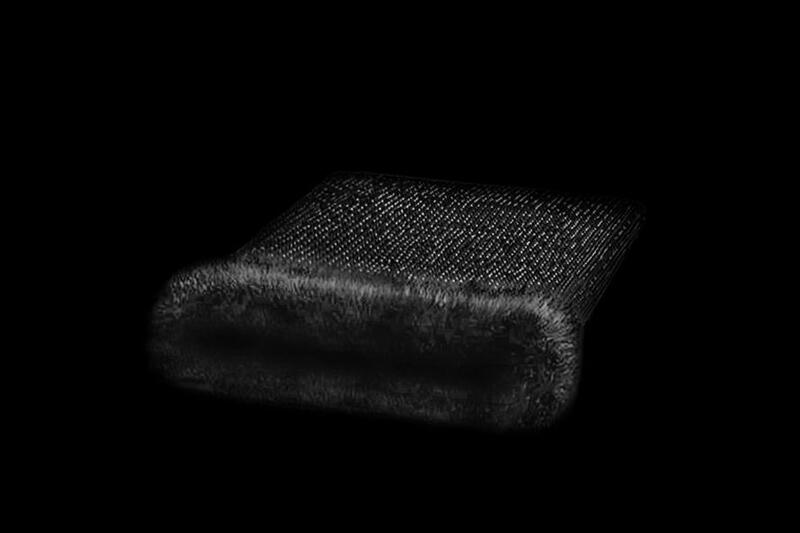 Apple iPad Air 2 Genuine Fur MJ Edition - Genuine Fur Handmade: Mink, Pony, Fox, Sable, Wolf, Silver Fox etc. 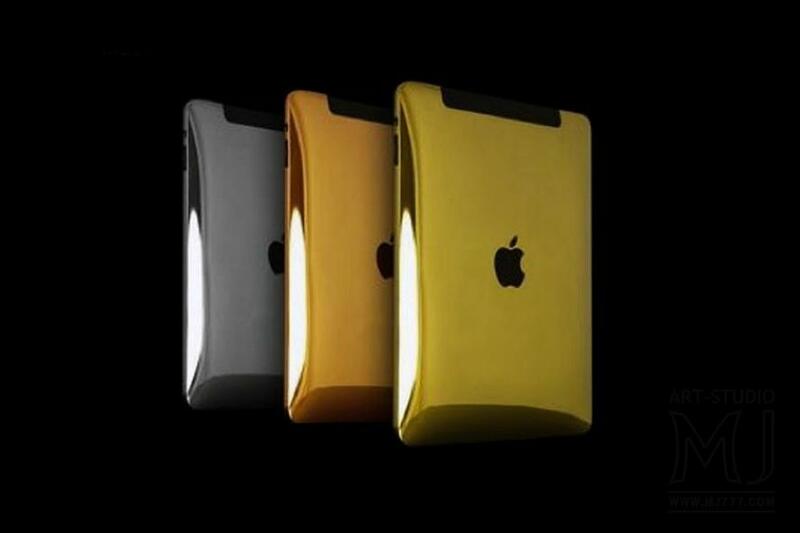 Luxury housing plates made of yellow, pink or white gold. 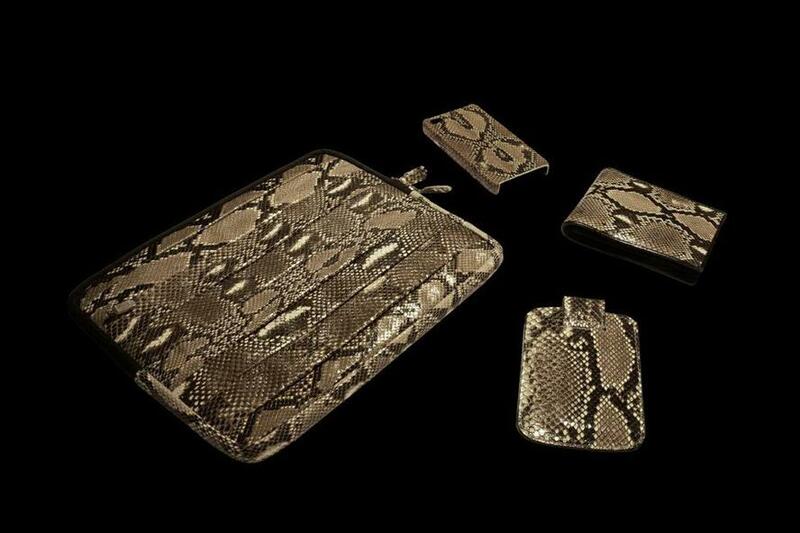 A set of exclusive accessories and status of genuine python skin and other exotics. python, cobra, anaconda, crocodile, alligator, caiman, shark, eel, ostrich, stingray, elephant, hippo, monitor lizard etc. For individual order exclusive case for any model of Apple iPad Pro, Apple iPad Air, Apple iPad Mini etc. Royal luxury real plates studded with black diamonds from MJ. Individual orders any diamond inlay, from the classics to the white colored fantasy. 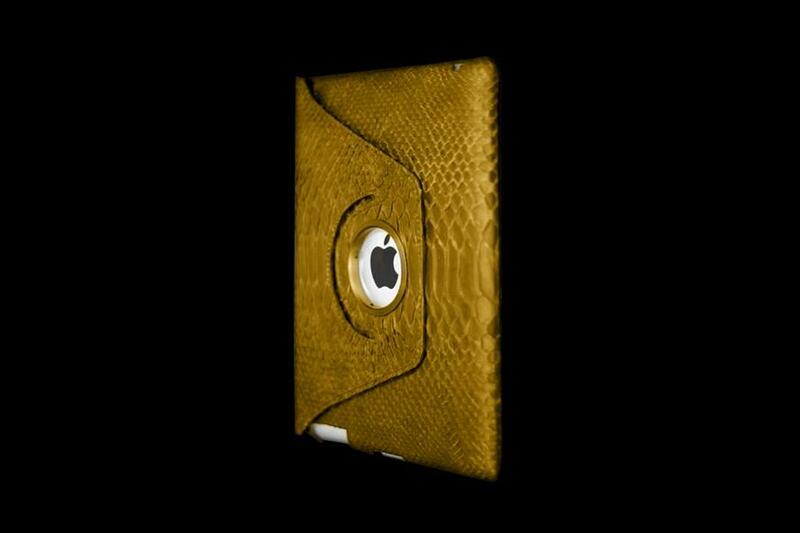 Designer covers - covers for all models of Apple iPad Pro, Air & Mini from gold python skin. 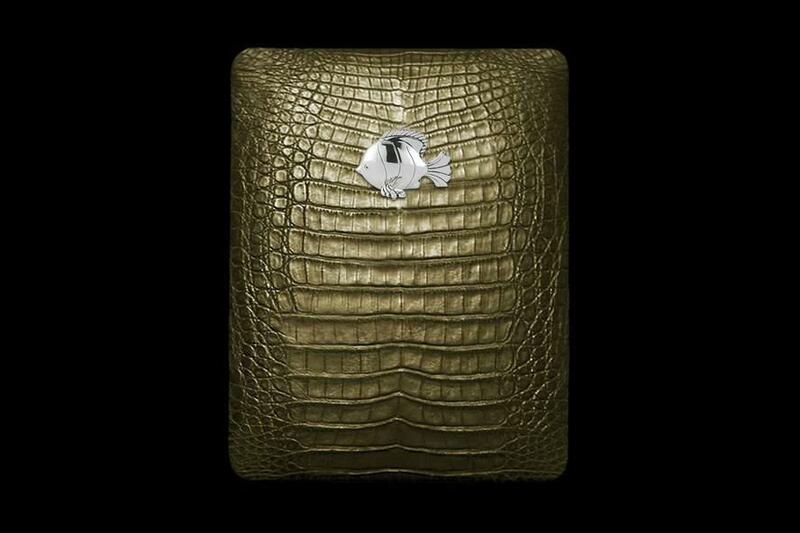 Any model of the original Apple tablet in the skin of a crocodile emblem decorated with gold or platinum. 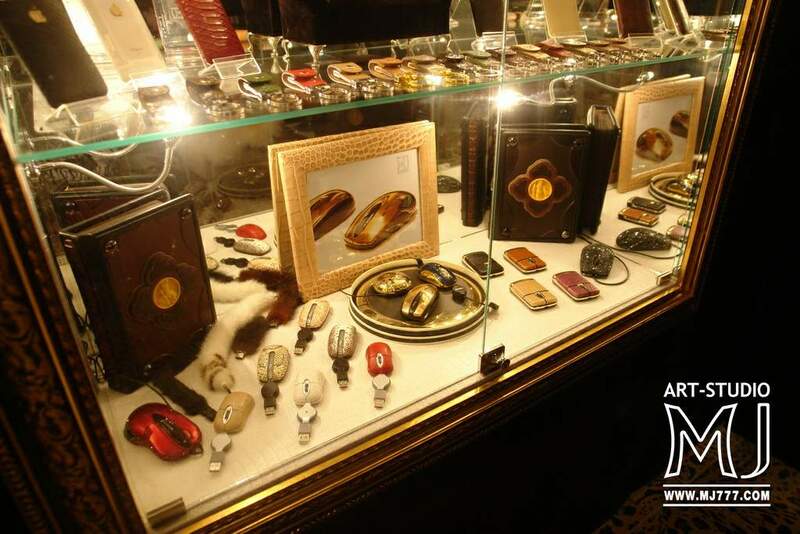 Individual orders any kind of leather inlaid with any symbolism of precious metals. 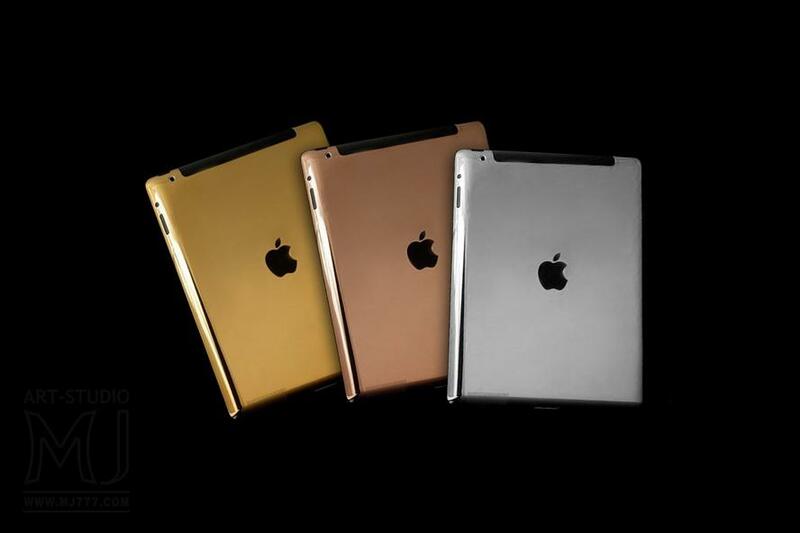 Luxury Case for Apple iPad Pro, iPad 6, iPad 5, iPad 4 & Apple iPad 3, Apple iPad 2. iPad Mini 4 Retina. 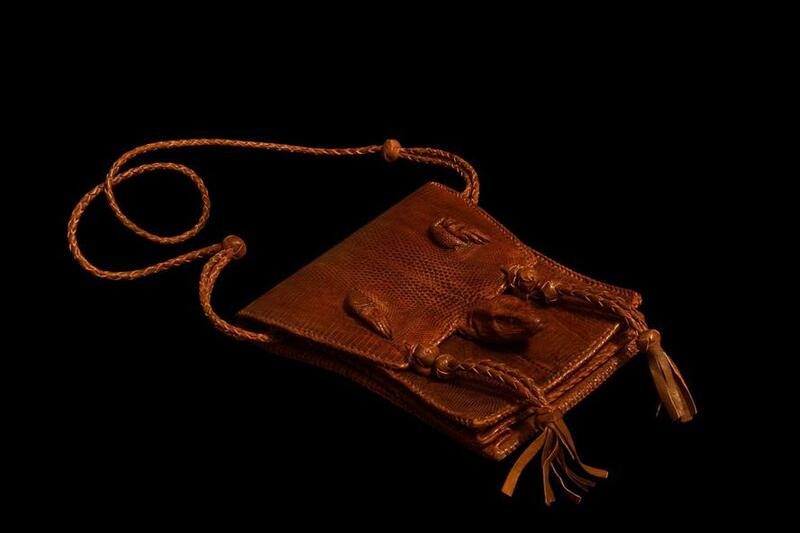 Only Handmade Exotic Leather. 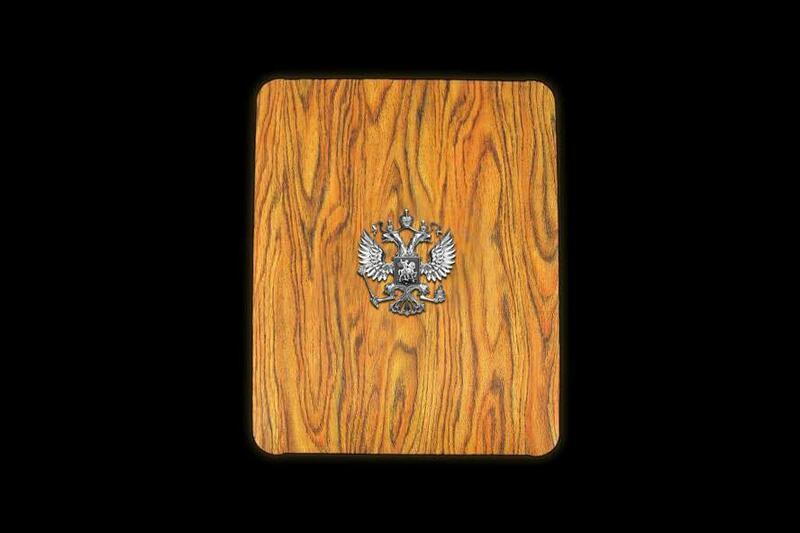 Copyrights model wooden cases for Tablet luxury class. Only handmade. 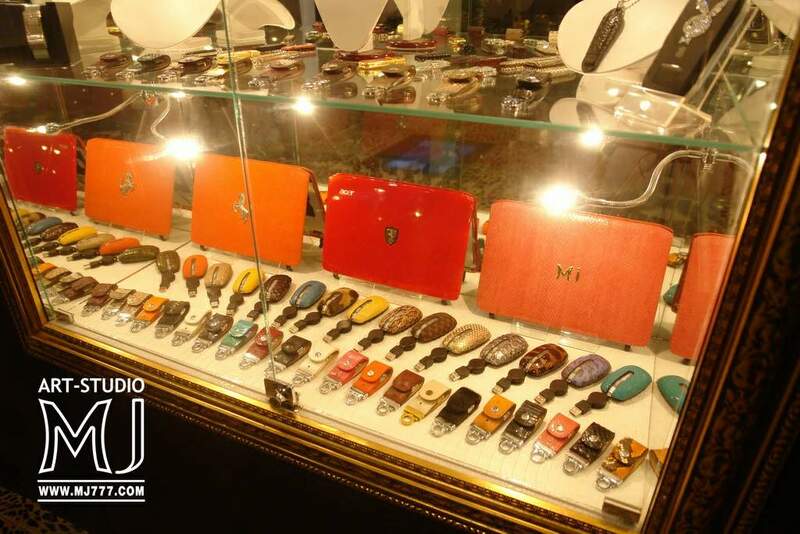 teak, and any other types of wood in combination with gold and platinum from MJ. Case for all models of tablets. Individual VIP orders. Author's design. 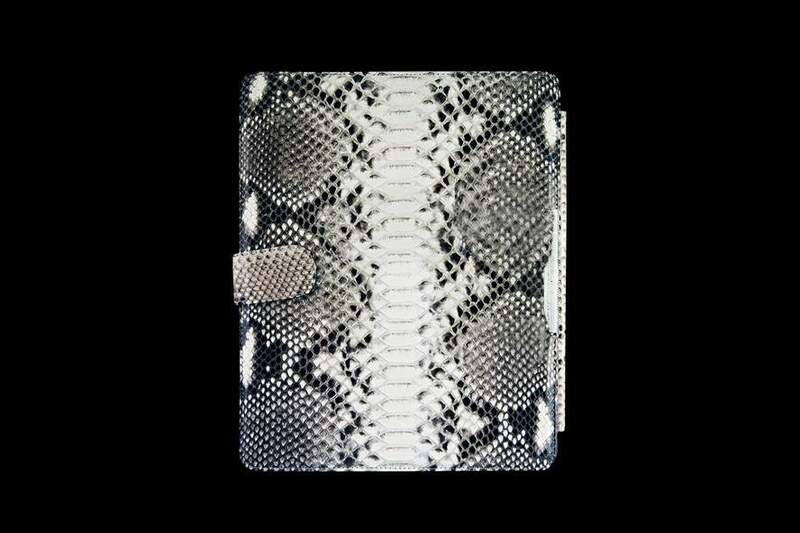 Case for tablet pad of genuine stingray leather. Rear back view. pearl, Siamese, lianevaya, Roxy, and other subspecies rohlevaya skin. For individual order cases for any model of Apple iPad Pro, Apple iPad Air, Apple iPad Mini etc. 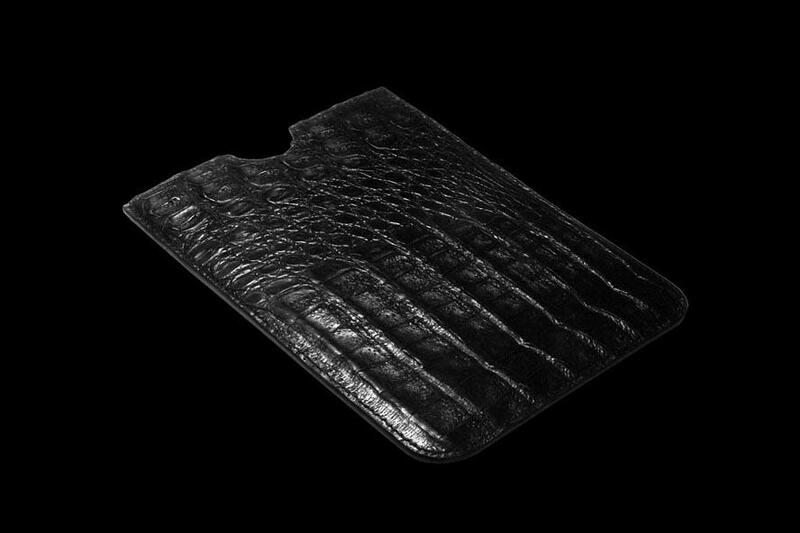 Pad tablet case stingray leather. Front view. 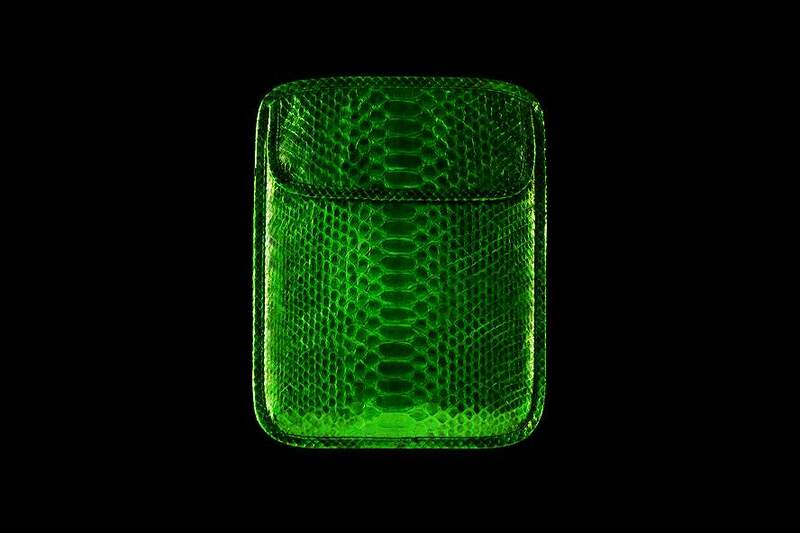 Only Genuine Exotic Skins. Case for all models of the Apple iPad 6, 5, 4, 3, 2, 1, iPad Mini 4, 3, 2, 1, iPad Pro with Retina Display etc. Luxury royal tablet version of Art Studio MJ. Released only 10 models. Each model is unique in these precious stones inlaid with a unique facet. Individual orders you can choose any type and combination of gemstones. DNA and of course diamonds are rare and very expensive colored diamonds are individually cut. Case Case fur. 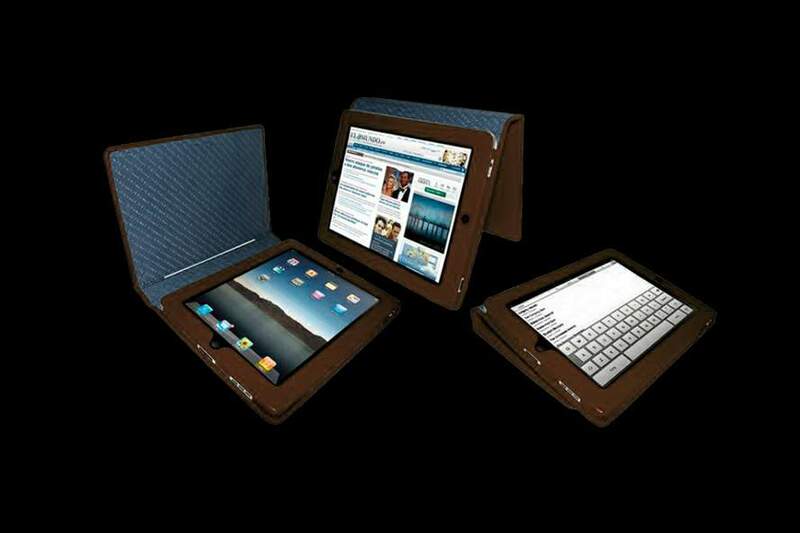 Case handmade custom tailored for tablets and phones. Fur leopard, cheetah, tiger, ermine, ponies, mink, fox, coyote, lynx, llama, fox, sable, etc. Royal Corporate aypadov Original Tuning newest version at 128GB. And of course the entire body strewn with real diamonds squeaky clean. 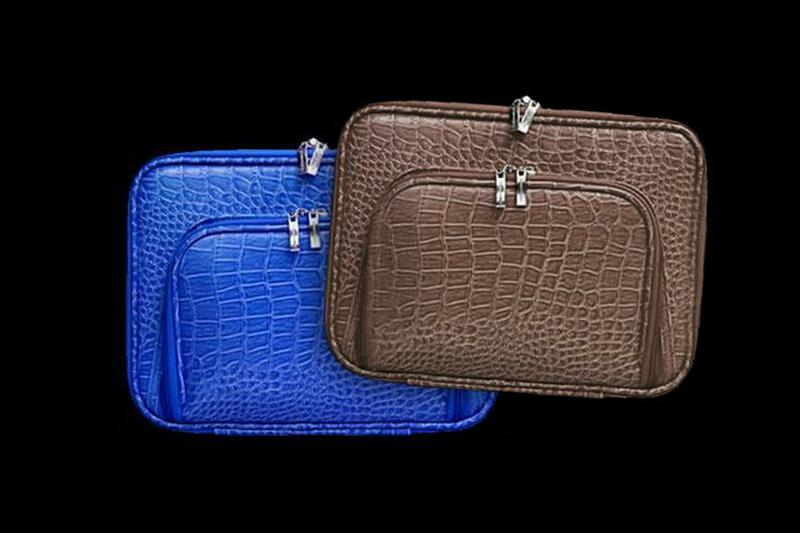 Exclusive Bag - Case for tablets and laptops in brown crocodile skin. Crocodile Dark Brown Chocolate Inlaid Emblems. 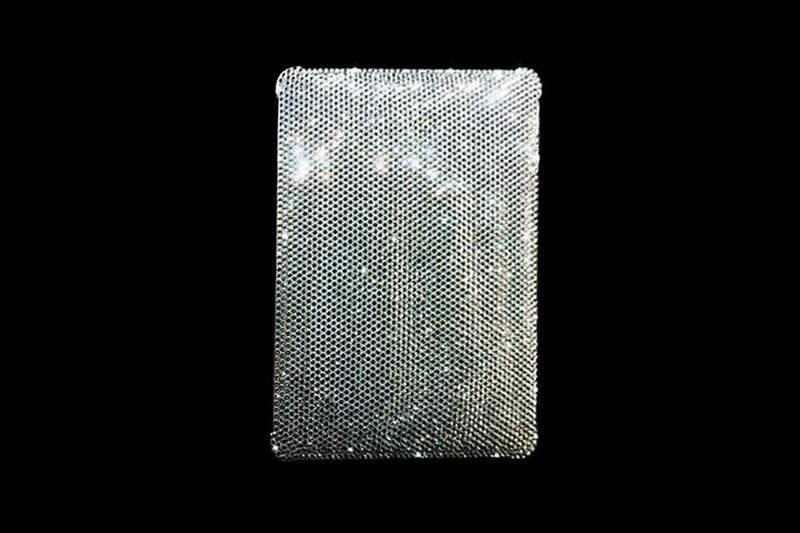 Made from Gold 750, Platinum 950, Brilliants etc. 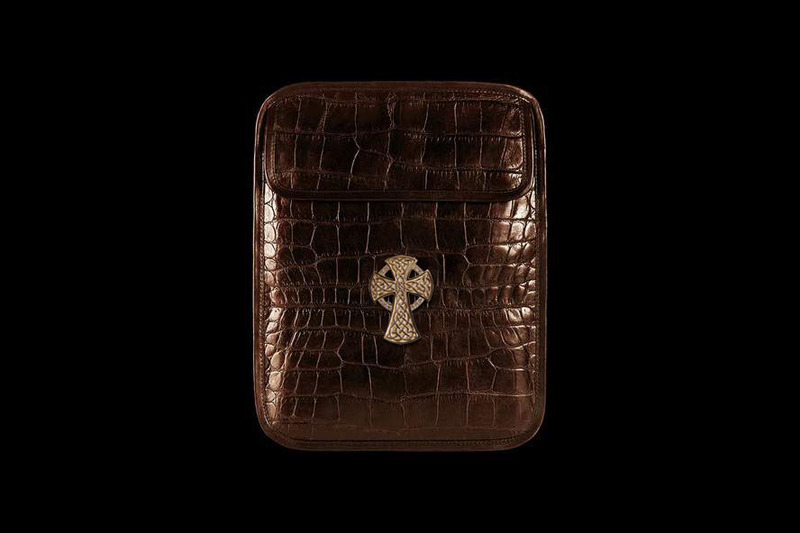 Exclusive leather cases covers polished stingray with emblems of gold 999 - th carats. For individual orders any logos, emblems, signs, initials and any other symbols. 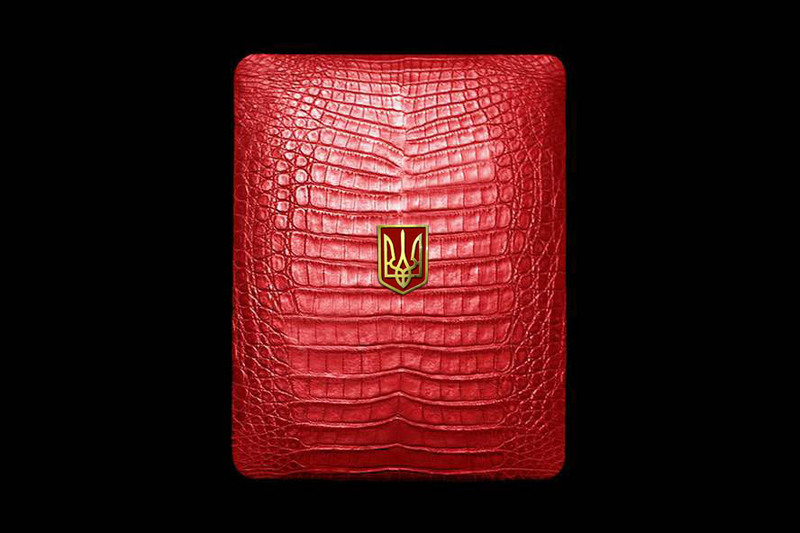 Leather case with solid gold emblem of grade 585 and diamonds. Individual orders any arms and emblems of any samples of gold. 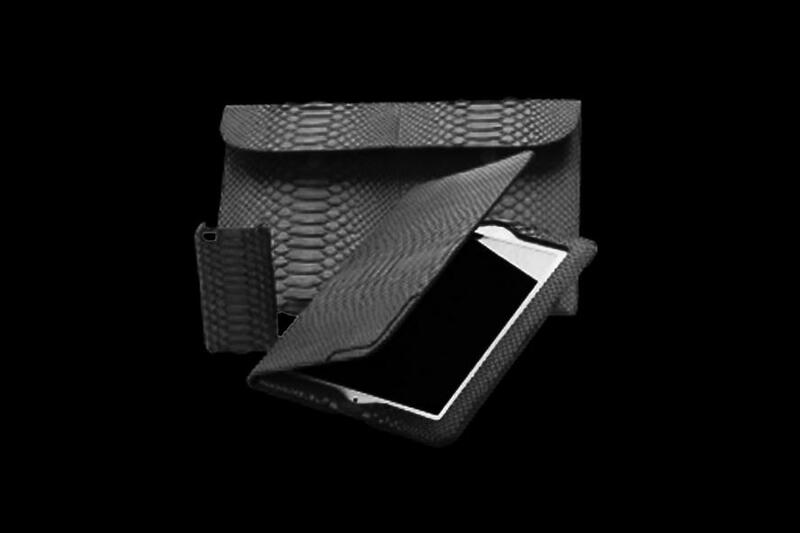 Book Bag Cover MJ Luxury for Apple iPad Air 2 & iPad mini 4 & Other Tablets Luxury: Asus, Toshiba, HP, Sony, Samsung etc. 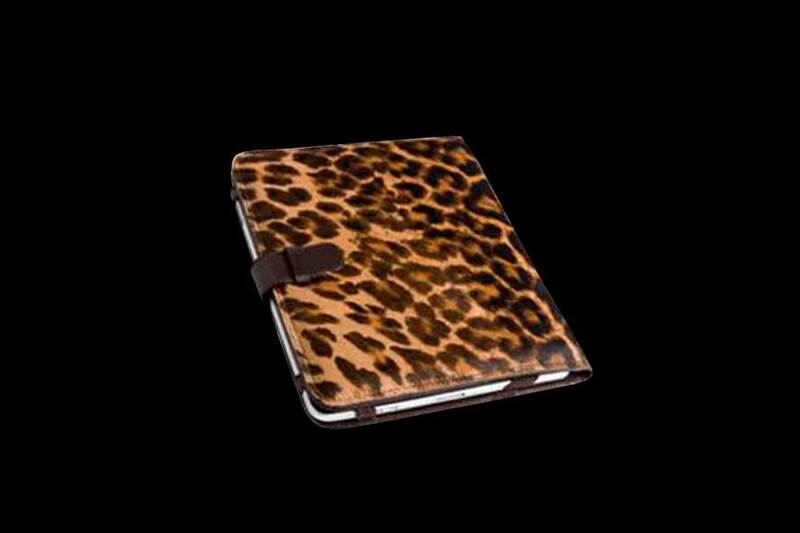 Cases of exotic leather tablet EPL, Toshiba, Asus, Hewlett Packard, Sony, Samsung, etc. 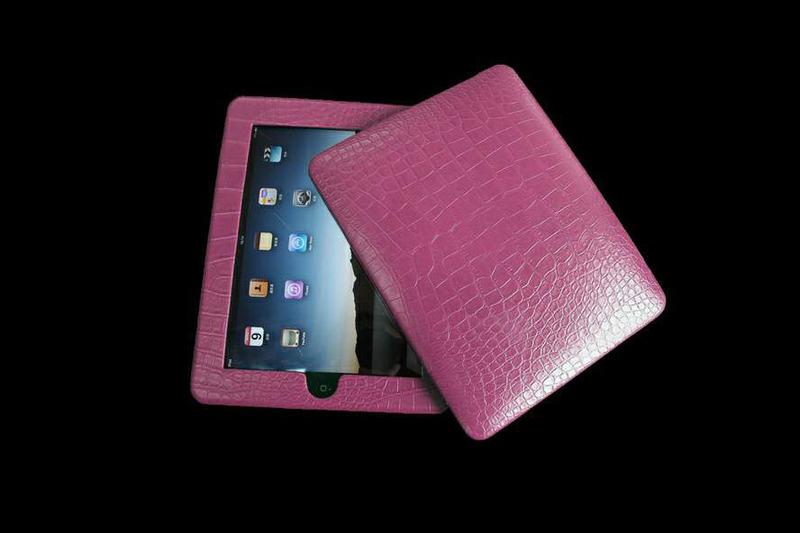 Case for tablet genuine crocodile leather handmade. 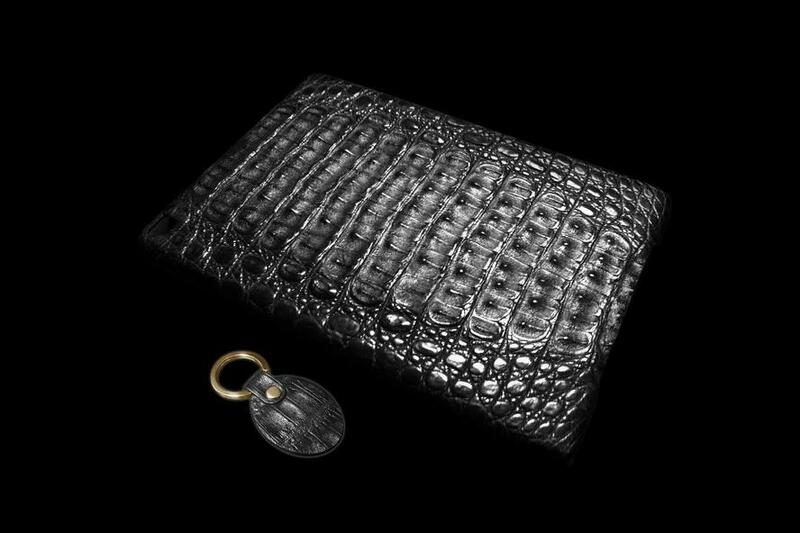 Case in natural leather white crocodile. Available in matte and glossy edition. Professional modding tablets and laptops from the Art Studio MJ. For individual order customization for any models of Apple iPad Pro, Apple iPad Air, Apple iPad Mini etc. Pink crocodile leather, rose gold 888 carat pink diamonds and unique. 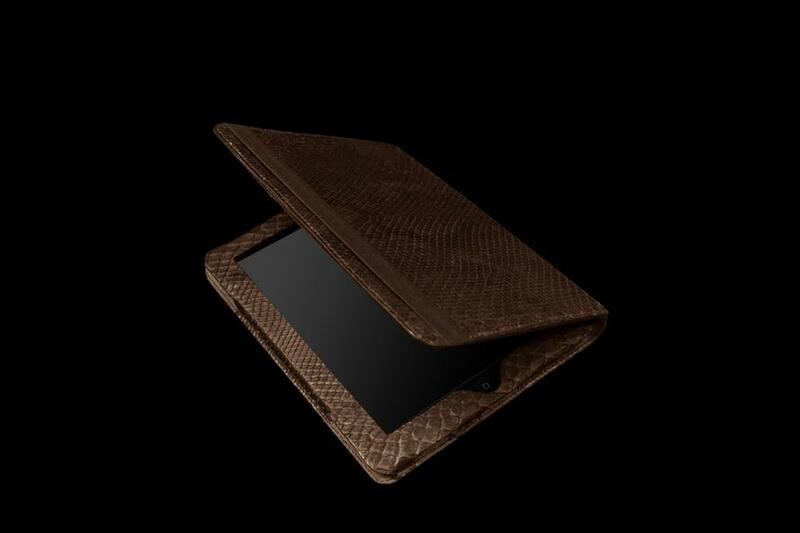 Exclusive Case for tablets and laptops in crocodile skin and pure gold 999 -carat 24 carat. 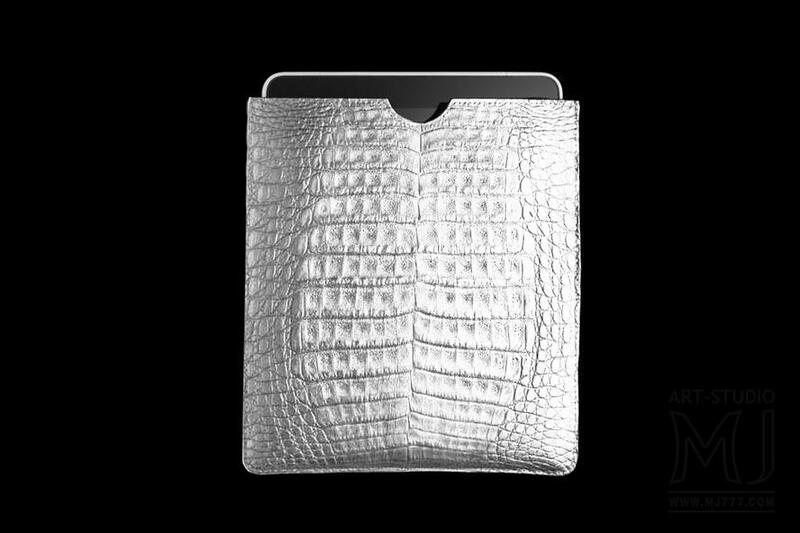 Exclusive computer tablet in crocodile skin and platinum white gold 777carat from MJ. Individual orders inlay any symbols and images of precious metals and gems. 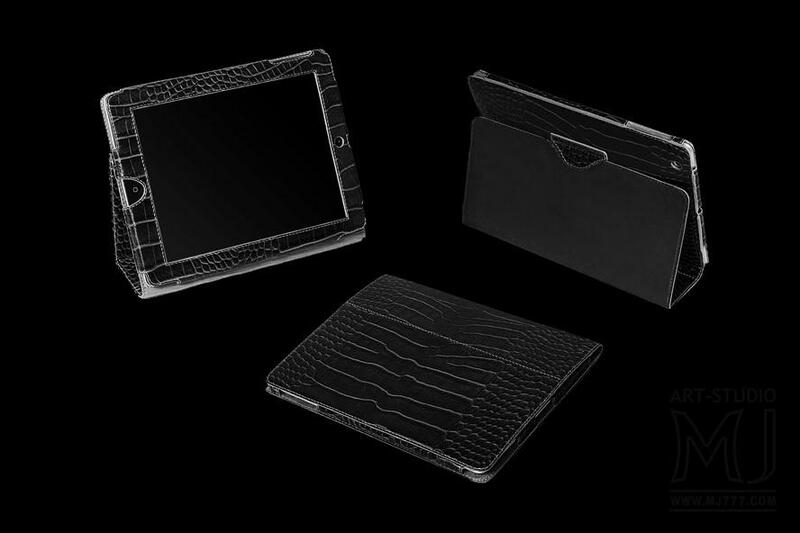 Luxury Cases for the iPad and iPad mini 6th generation. Any size and design. Issue only for individual orders only from genuine leather handmade. 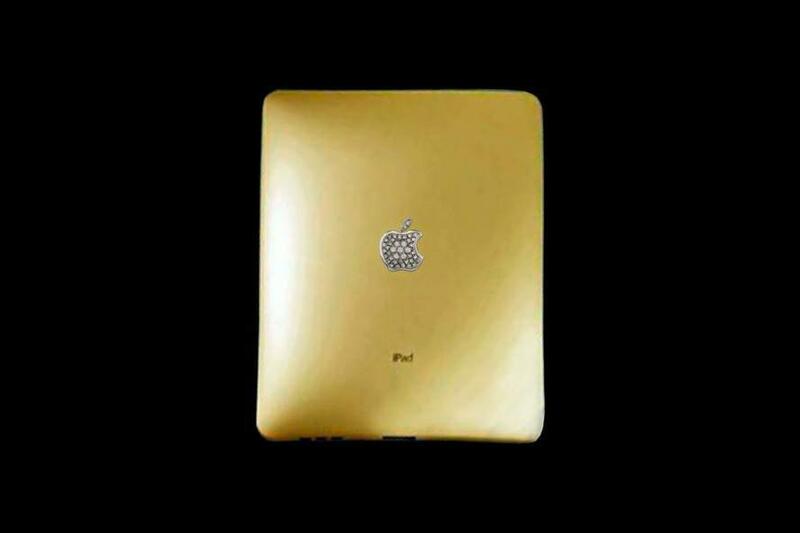 Gold tablet Apple iPad. Housing newest alloy gold 777 carat, diamond logo and platinum. Only individual orders. Only for a few lovers of luxury and high-end gifts. 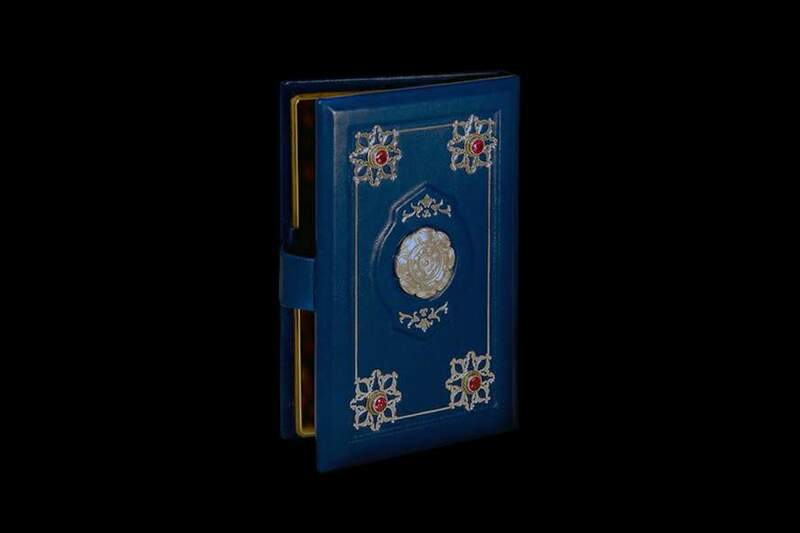 Laser and hand engraving, embossing (author pad), weaving, decorative painting and airbrushing. And of course work jewelry luxury class. Corporate personalization plates and accessories. 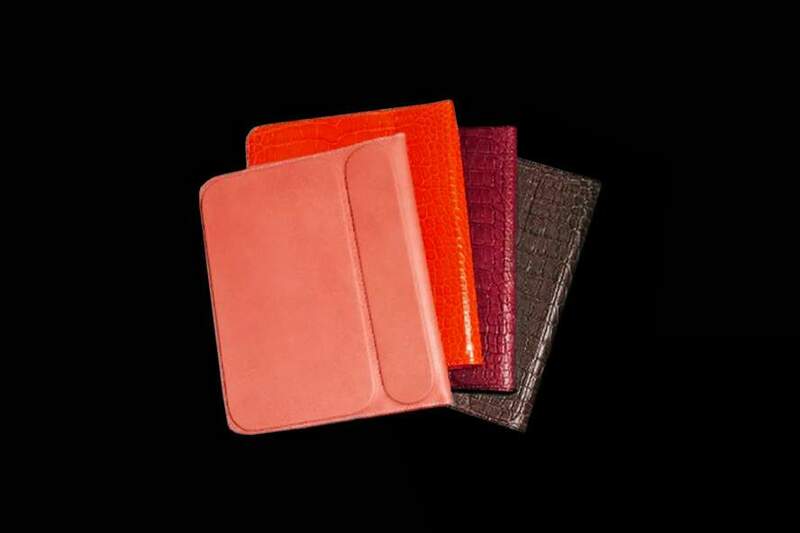 Case - bag for tablet of carbon frame and genuine ostrich leather of all colors. 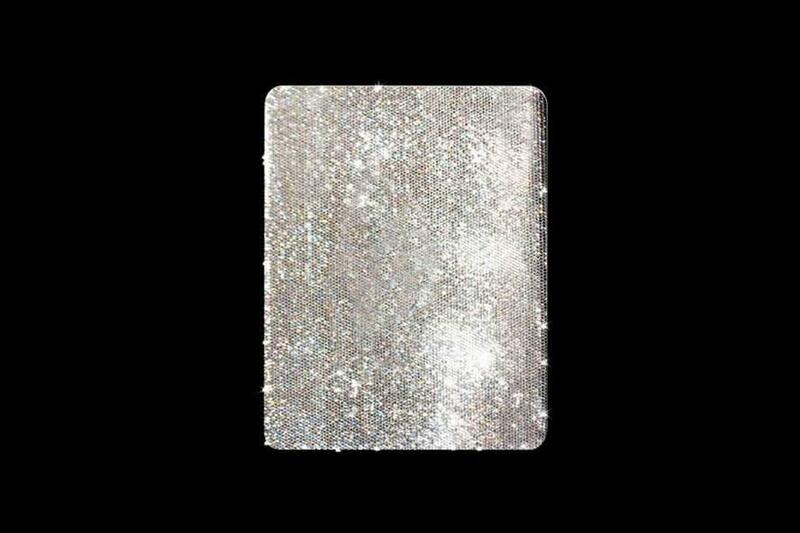 Individual orders inside pocket for business cards, credit cards, money holder, documents etc. For individual order covers for any models of Apple iPad Pro, Apple iPad Air, Apple iPad Mini etc. 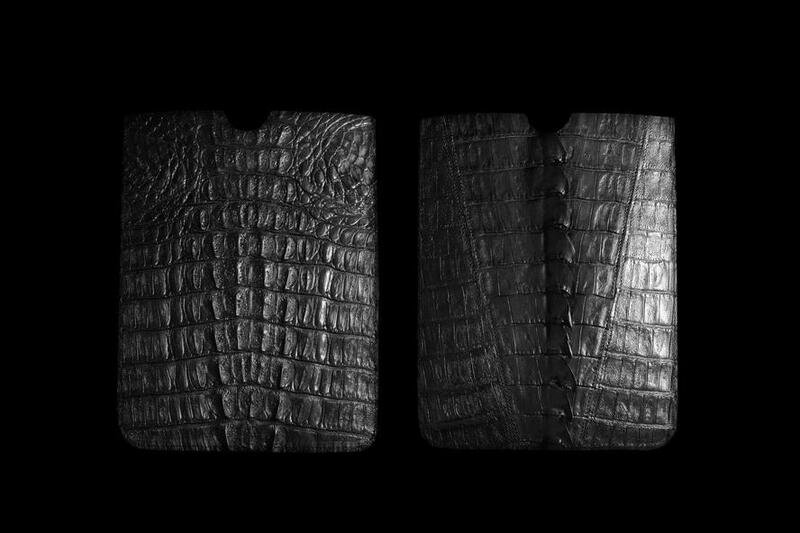 Tablet in the skin of a crocodile. With these spikes. Only originals. 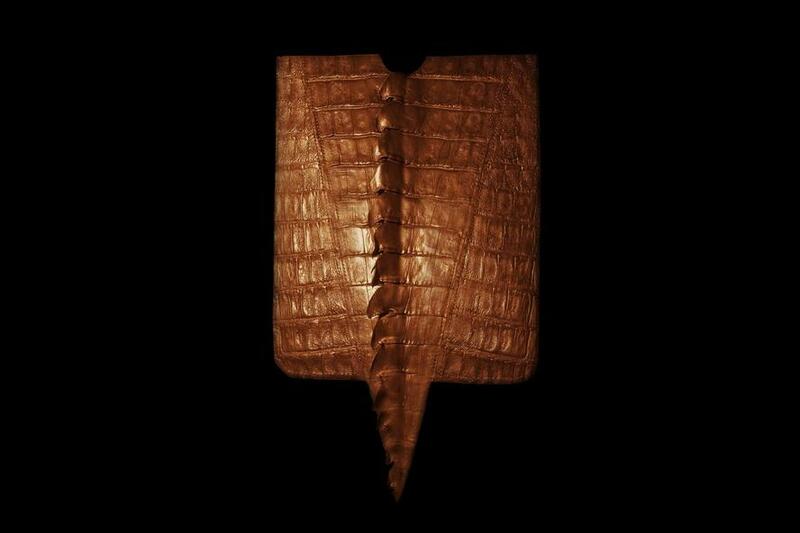 Any kind of crocodile skin, smooth, textured, with large or small patterns, with and without spikes. For individual order case customization for any models of Apple iPad Pro, Apple iPad Air, Apple iPad Mini etc. 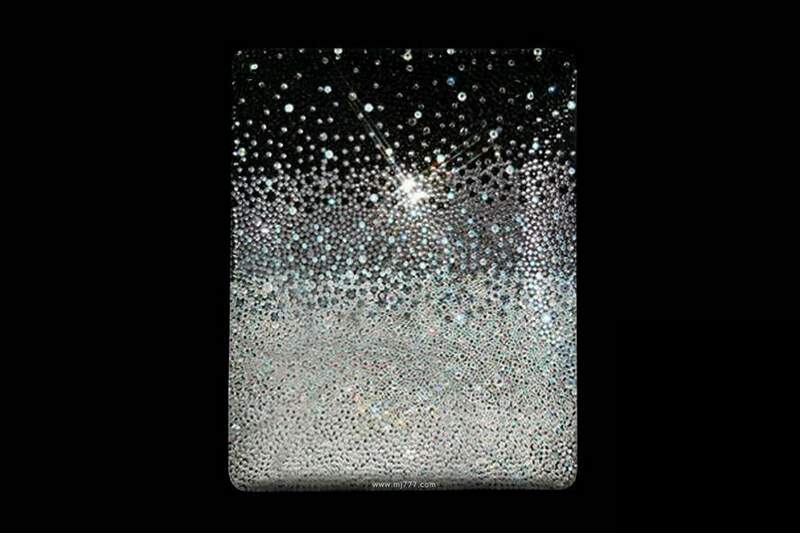 Case decorated with Swarovski crystals. 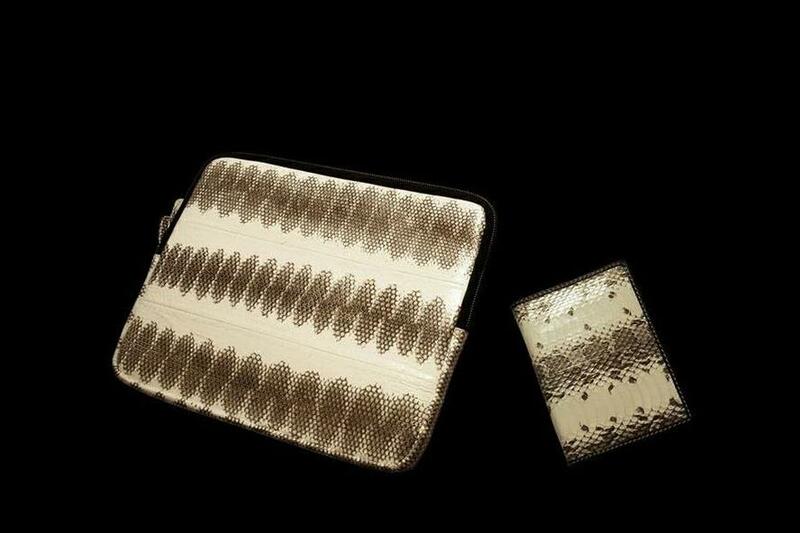 For lovers of luxury goods case is decorated with diamonds. яяly handmade. Only the best materials. Only individual orders. 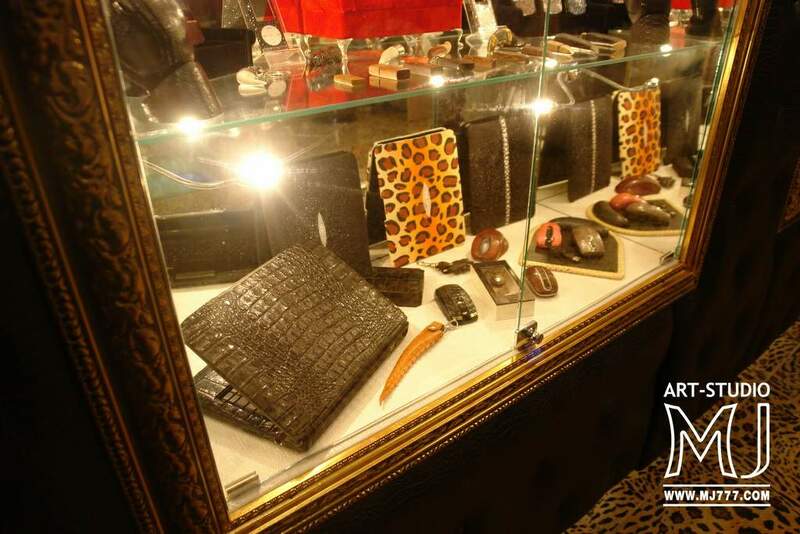 Look for products MJ in the best boutiques around the world. Personal or order production model. 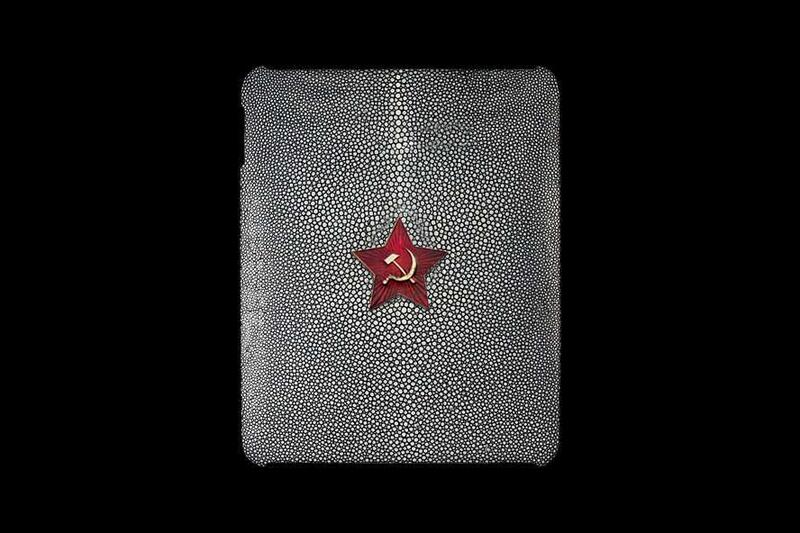 Luxury case for the tablet as the author of the book collector c familial symbolism. For individual order customization for any models of Apple iPad, Apple iPad Air, Apple iPad Mini, Apple iPad Pro etc. 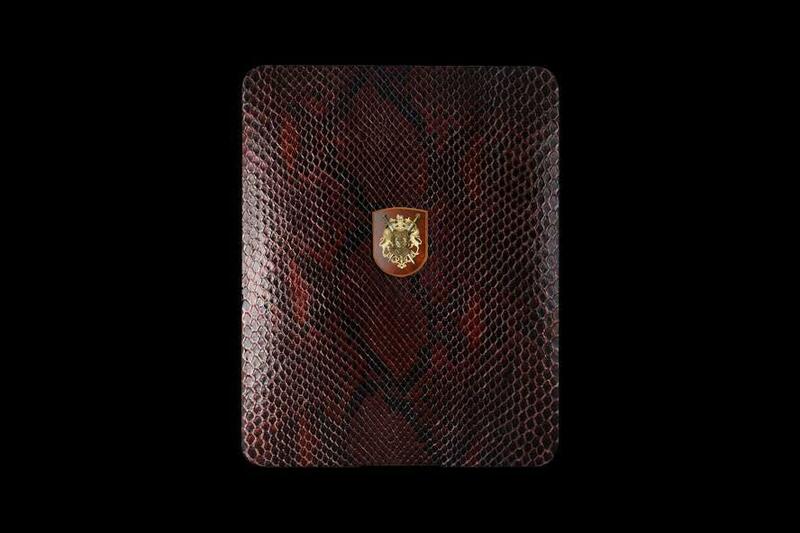 Exotic luxury python skin. Shoes and bag for notebook and tablet. Any model of shoes and handbags handmade by individual orders from the art-studio MJ. See also catalogs of exclusive shoes, handbags and laptops tuned. 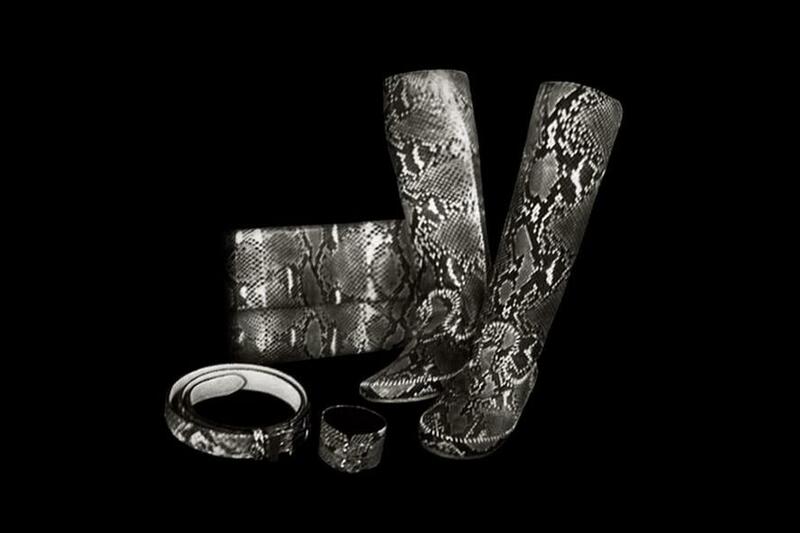 Glamorous and stylish accessory kit of pink leather anaconda gently brushed the candle. 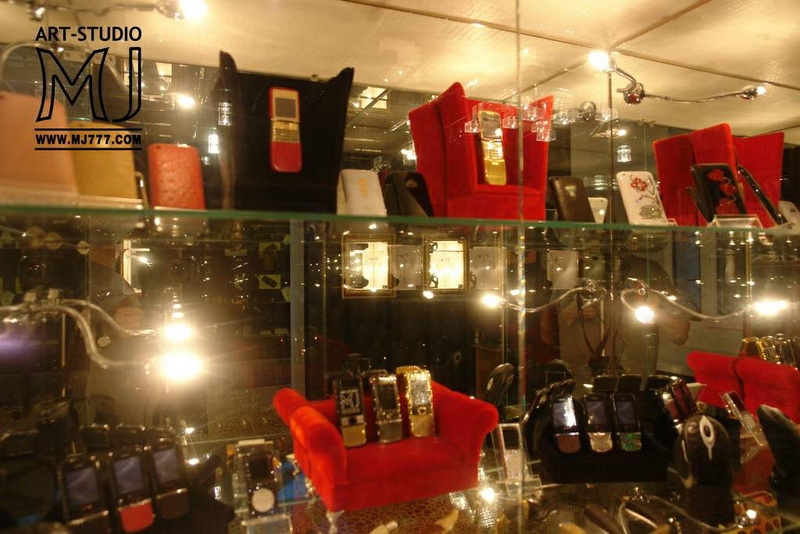 Male and female models covers, bags, cases and other accessories handmade by Art Studio MJ. Elegant set of top-class accessories. 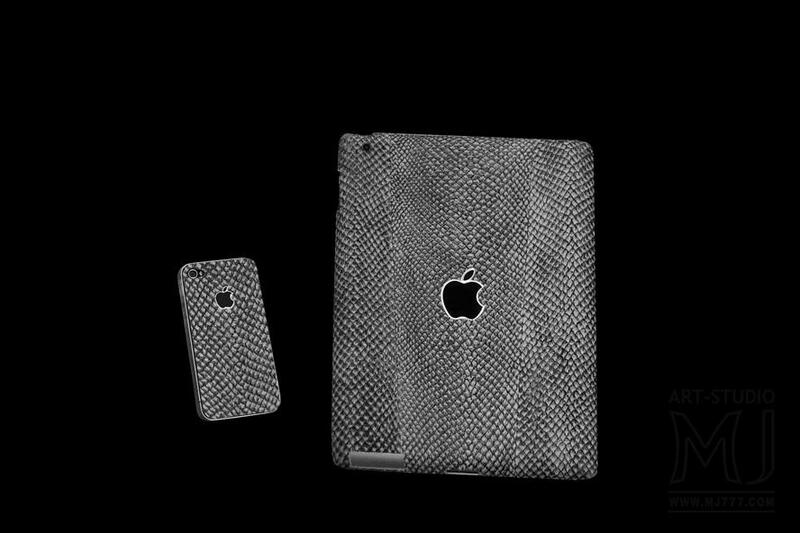 Set of 2 covers for Apple iPad and Apple iPhone. For individual order cases for any models of Apple iPad Pro, Apple iPad Air, Apple iPad Mini, Apple iPhone etc. 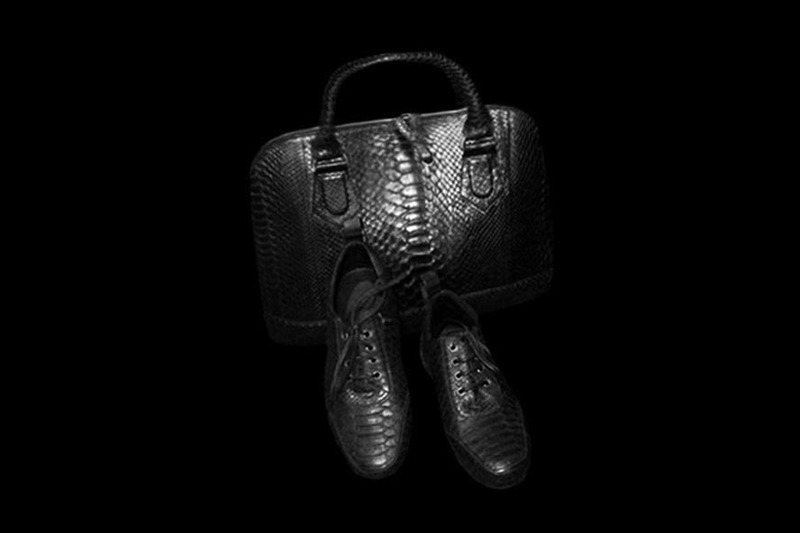 Author sets of bags and cases for Apple iPad and any kinds of shoes made from python. Individual orders any design, any kind of gemstones and precious metals. Individual orders these kits are available in any other kinds of exotic leather. For individual order customization for any models of Apple iPad Pro, Apple iPad Air, Apple iPad Mini, Apple iPad etc. 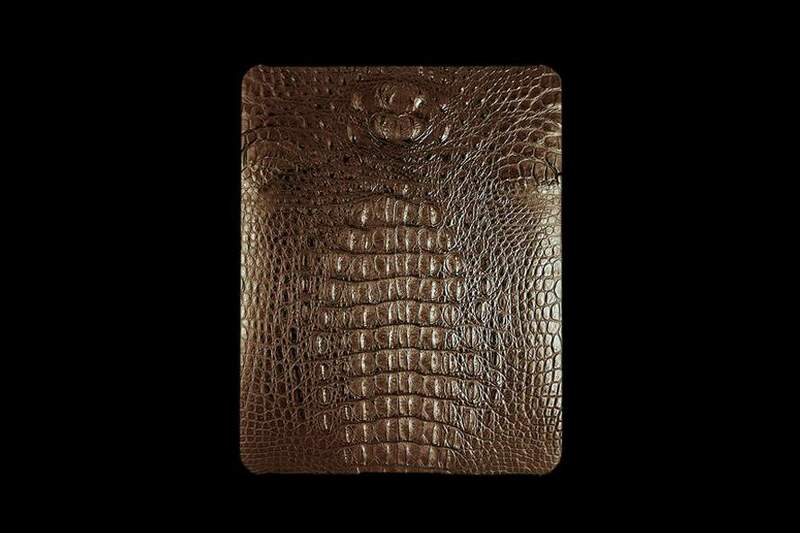 Keychain pad and case for Apple iPad crocodile, caiman, alligator, gavial and other reptiles. 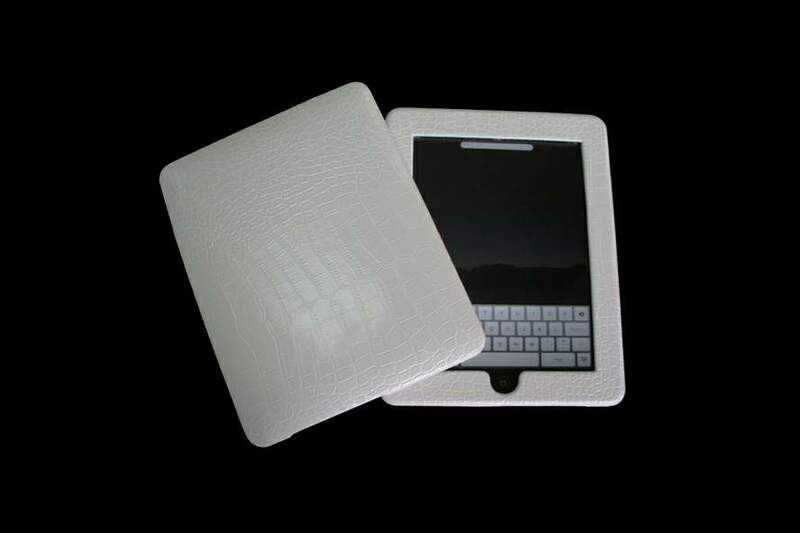 Exclusive Case for Apple iPad made of white alligator. 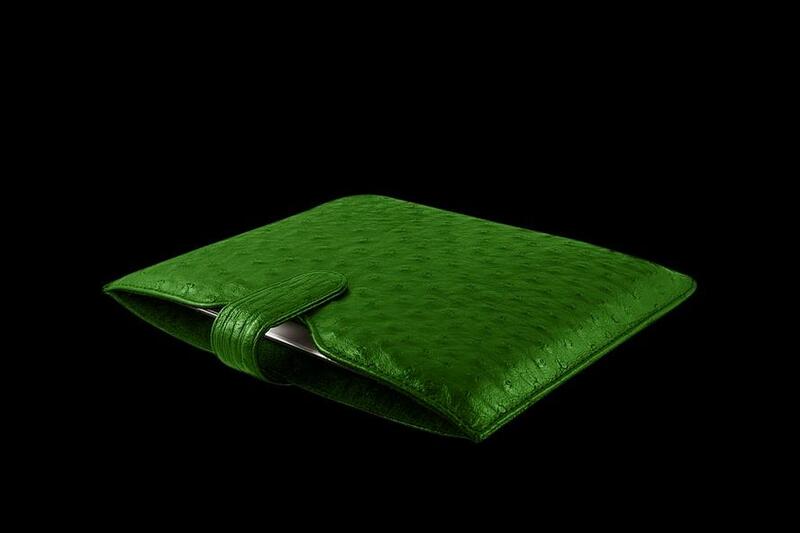 Case of green ostrich leather. Universal Case for tablets. 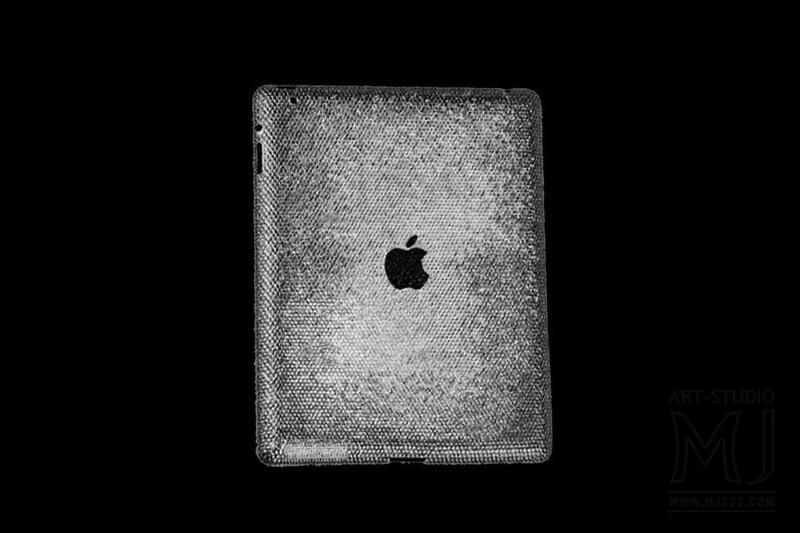 One of the most popular and practical models of covers for Apple iPad all versions. Individual orders issued from any species and any skin coloring. 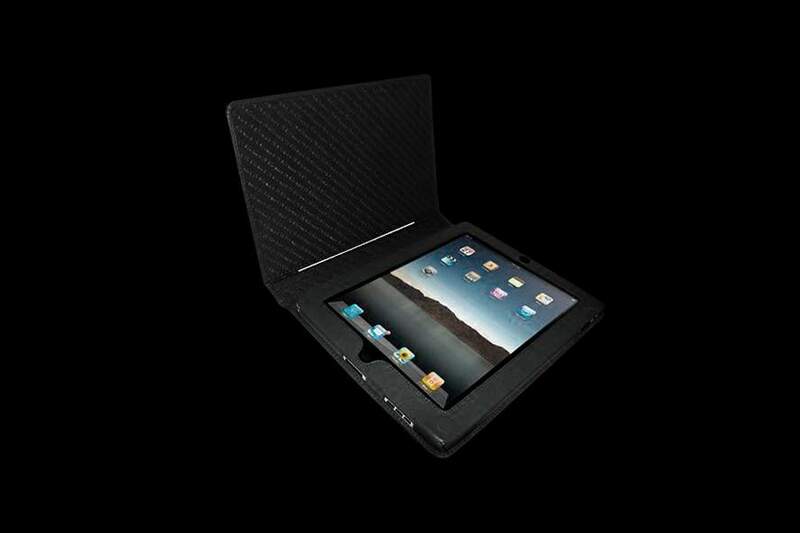 Exclusive bag with inner compartments for the tablet Apple iPad. Individual orders bag with pockets for any appliances. This exotic. 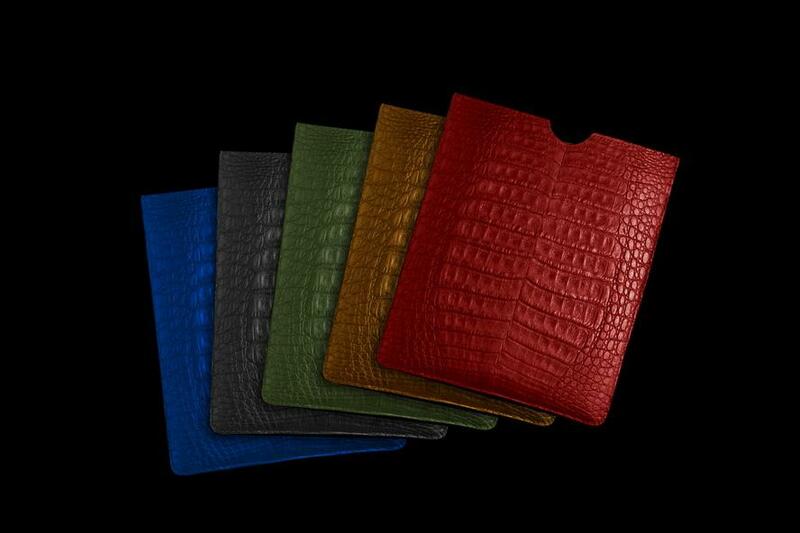 Case for iPad leather crocodile tail. Any covers the most unusual of all shapes and sizes for individual orders. 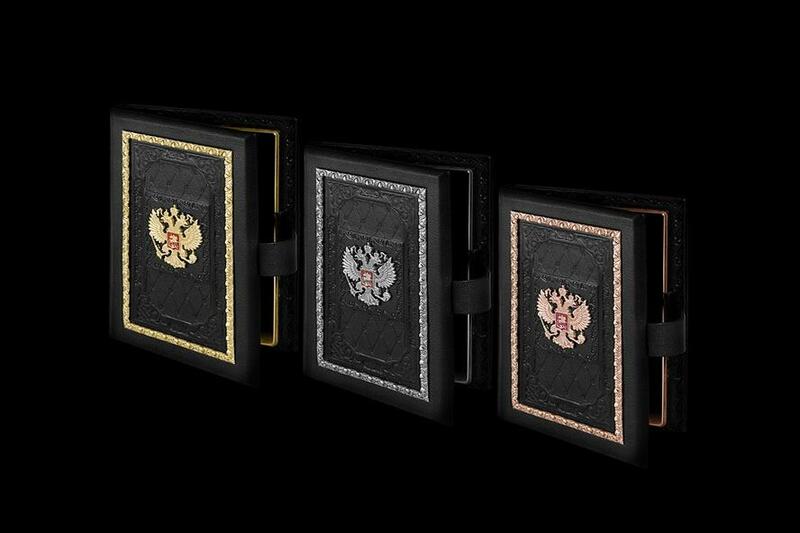 Prestigious book cases for Apple iPad from embossed leather with inlaid yellow, white or red gold. Individual orders inlay any coats of arms, emblems, zodiac signs, initials and any other symbols. 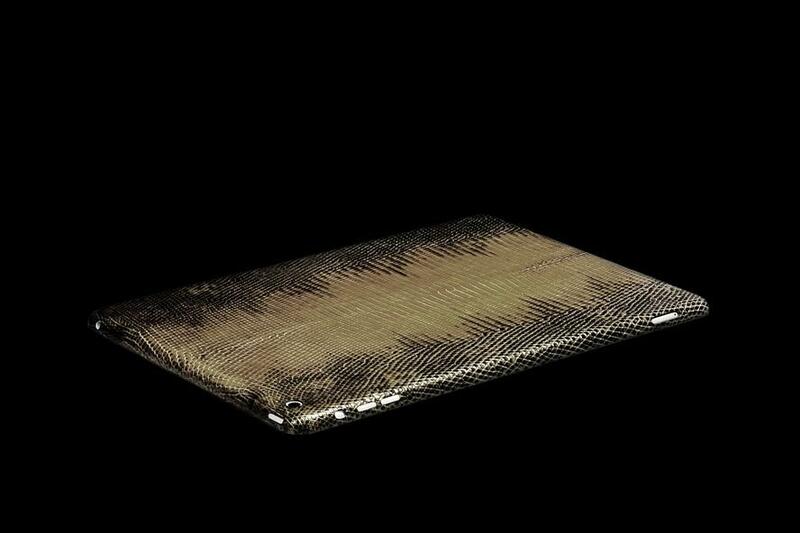 Cases & Decor framework of the plate is performed in the same style of the same kind and color of the precious metal. 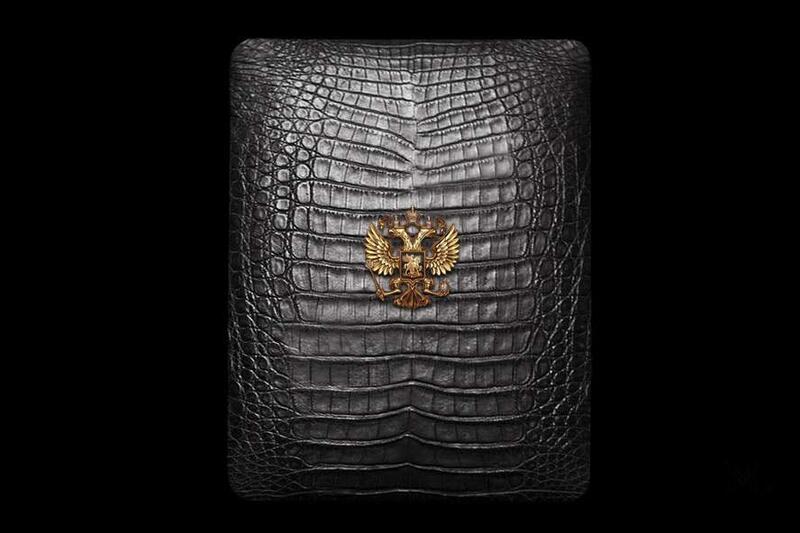 Elite Case - book alligator for Apple iPad. Case can be transformed into a stand. Individual orders production of this model of cases in any colors. 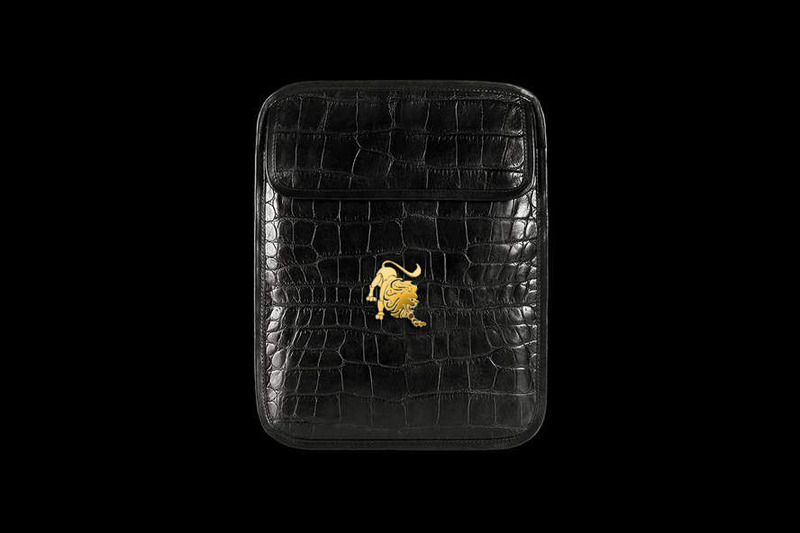 Exclusive Case of yellow ostrich leather with a button in white gold. Rare Case of sea snake skin natural colors. For platinum plates lining is made of unpainted nubuck. 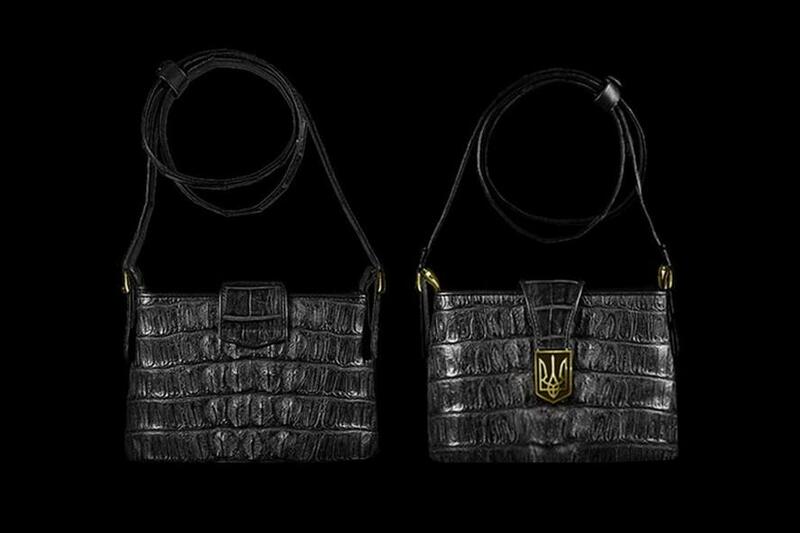 Exclusive black leather cover sea snake with a button of gold and diamond. This is not a case, and tuned tablet. Used special thin but very durable leathers. Dimensions of the plate tuning hardly increased. 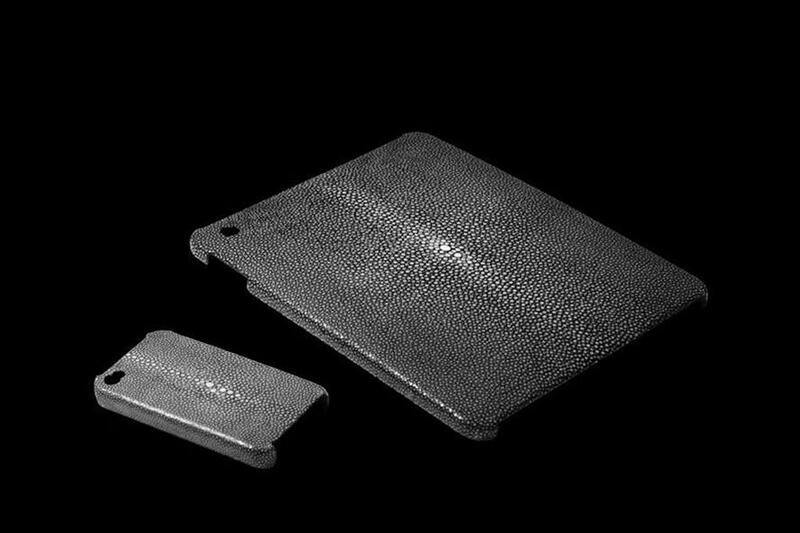 Exclusive leather types from 0.5 to 1.5 mm thick skin. Individual orders any color and kinds of genuine exotic leather handmade. Plus professional film for displays armored plates, phones and any other gadgets. 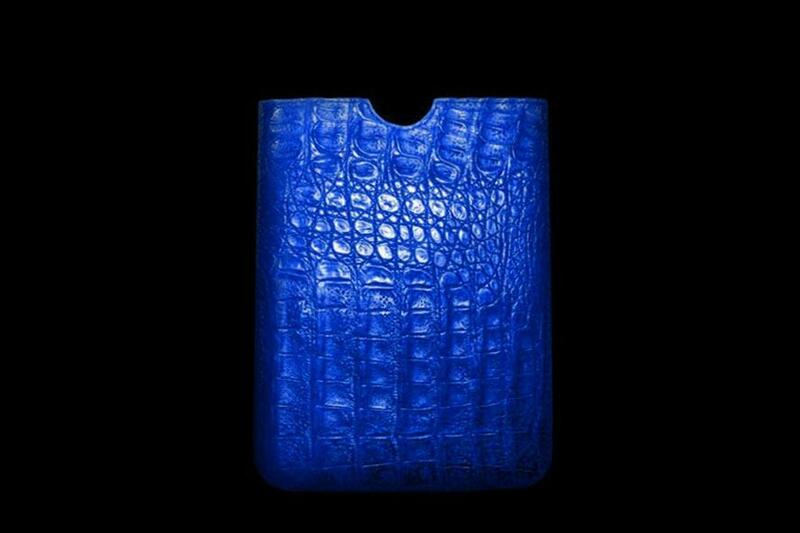 Case crocodile leather handmade blue. Tune emblems. Individual orders all kinds of glowing apples. Full logo glow, glow only doghouse logo, any color. Individual orders any VIP model covers, any design, any kinds and colors of skin. 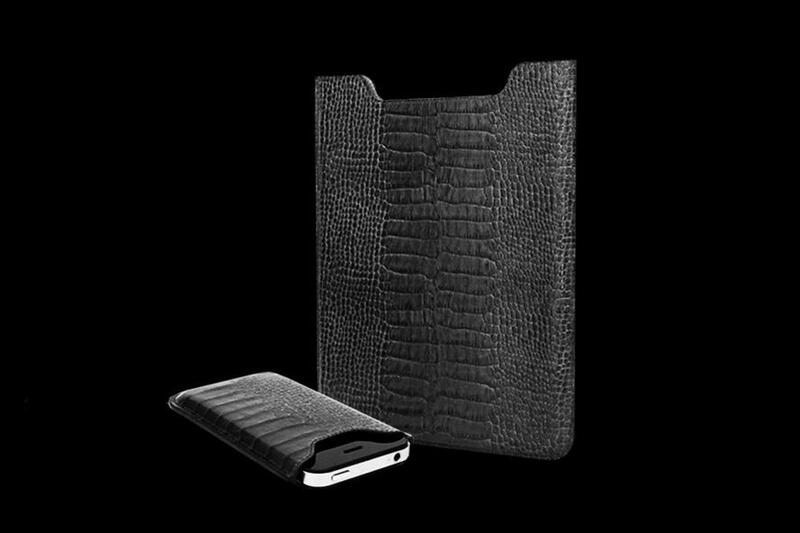 Status Case for Apple iPad 5 of crocodile skin black. Individual orders possible logo inlaid with diamonds, sapphires, rubies and other gems. 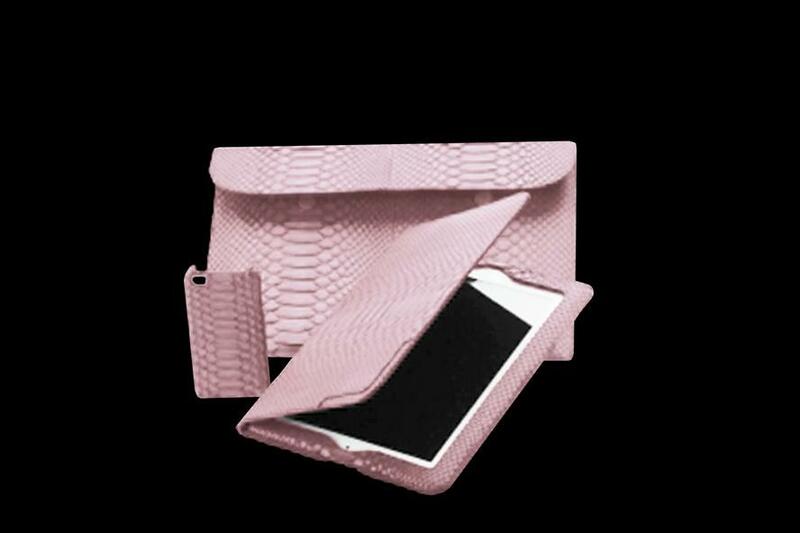 Handbag with special sections for the Apple iPad and Apple iPhone and other accessories. 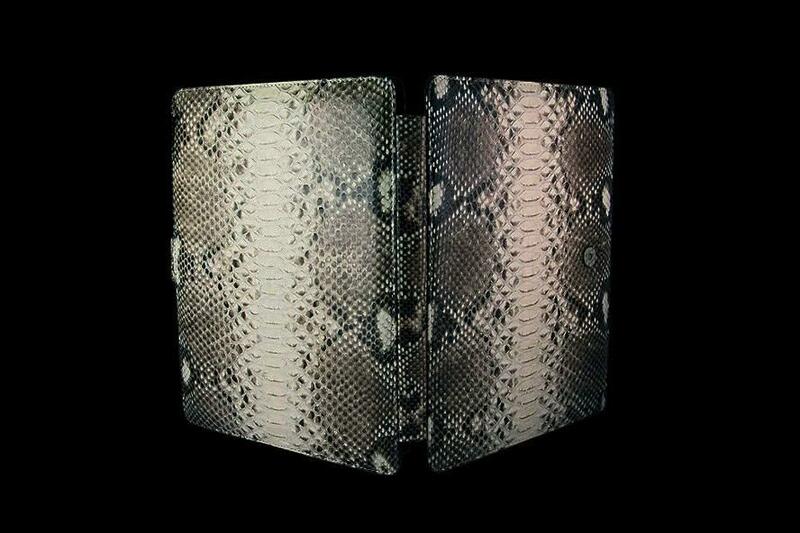 Zip pouch for Apple iPad and Apple iPhone Leather sea snake natural color. 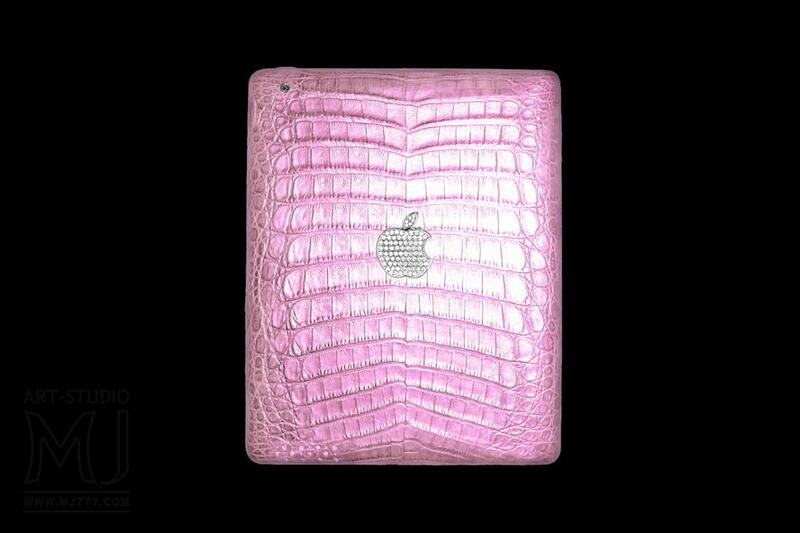 Luxurious iPad in pink crocodile skin and emblem of platinum and diamonds. Any color. Handmade. Based only on branded models from Apple. 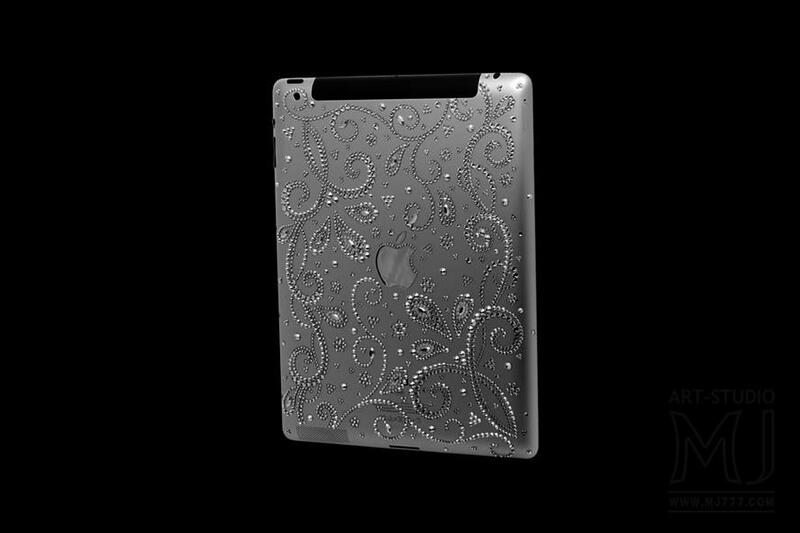 Only Customized on the Official Apple iPad. Only Handmade. Only Precious Materials. 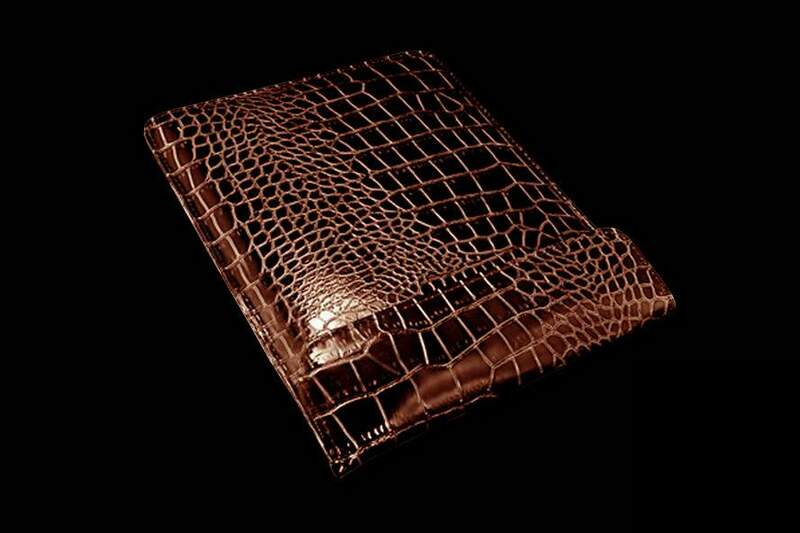 Universal bags zipped folder of crocodile skin from the Art Studio MJ. Manufactured according to individual orders for all models and sizes of tablets and laptops. 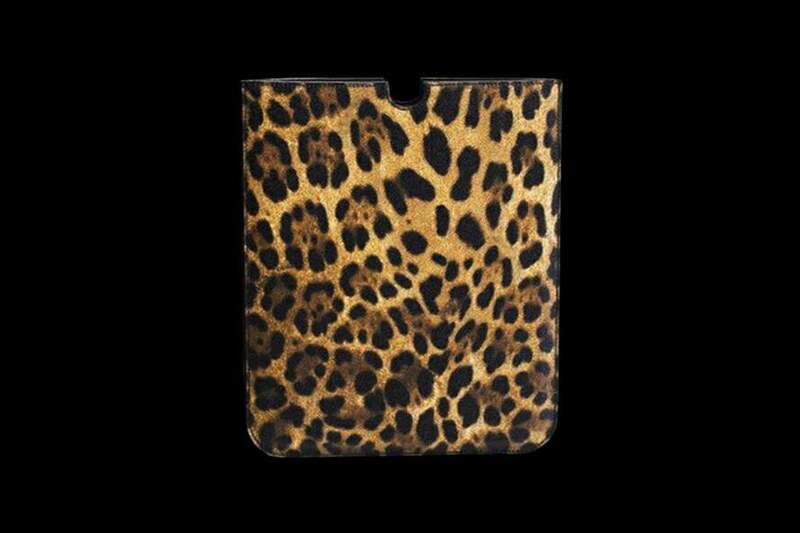 You can also make additional internal and external pockets for mobile phones and other gadgets. Individual orders a unique case of the elite species of fur and jewels. Sable, ermine, chinchilla, fox, mink. With inlaid with gold, platinum or diamonds. 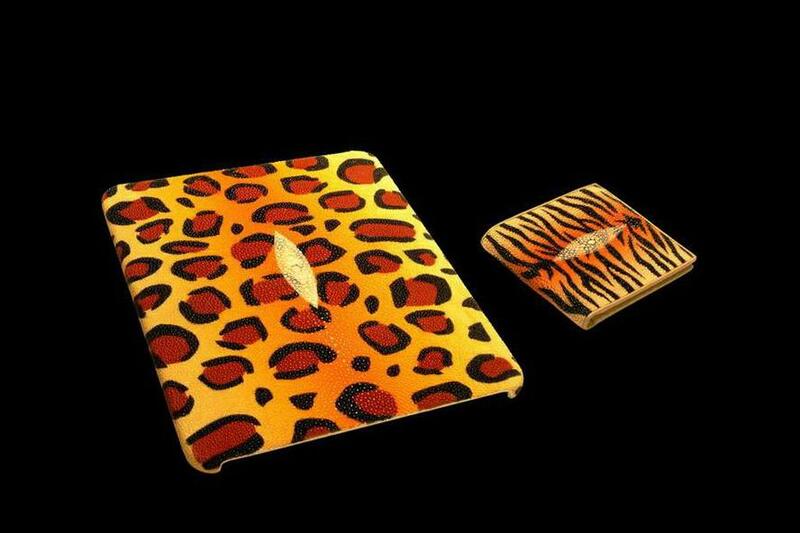 Luxury accessory kit stingray leather tiger and leopard coat. 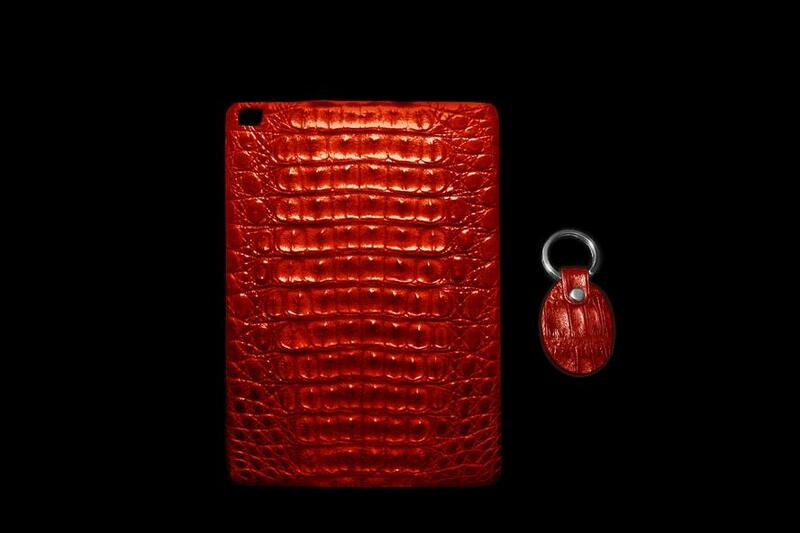 Case for the Apple iPad and purse of any kind of genuine exotic leather handmade. 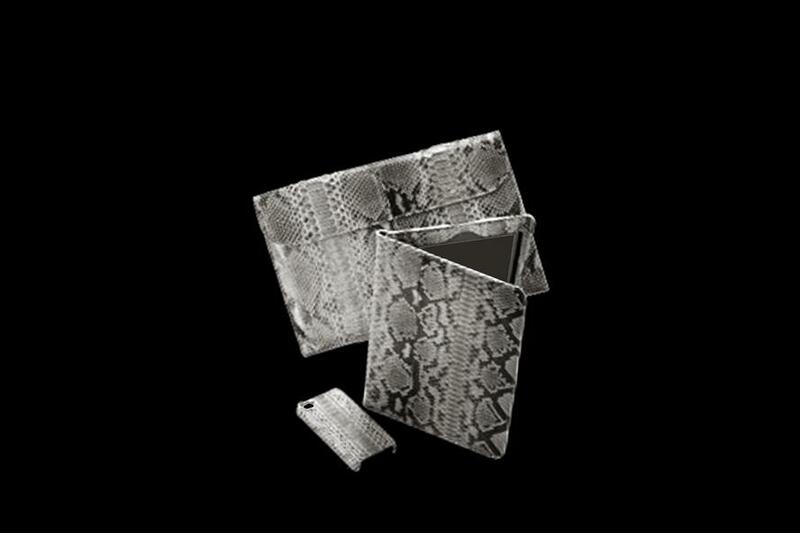 Set of luxury handbags for Apple iPad, boots, belt, bracelet, watch straps and other accessories made from python. 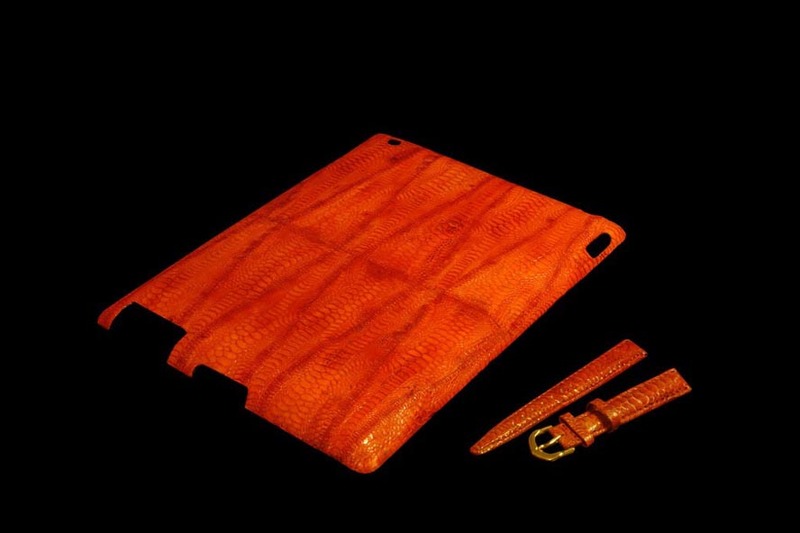 Individual orders any kinds of colors and exotic skins. 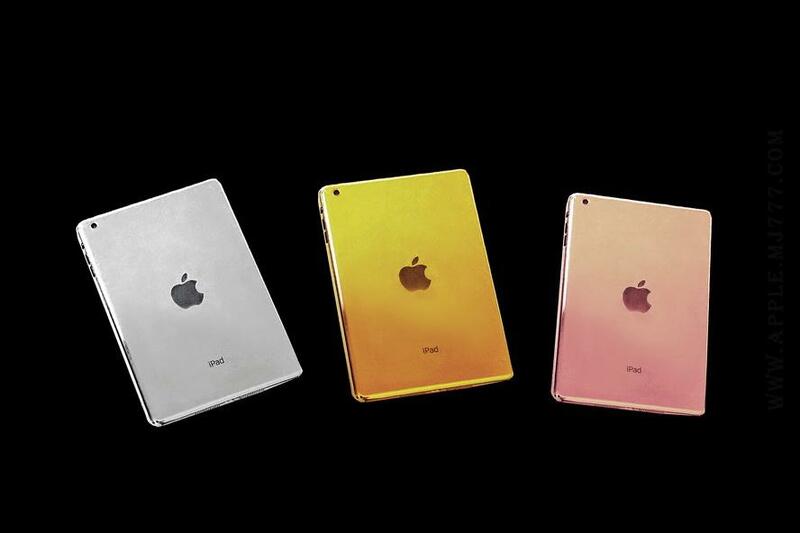 Tuned Tablets Apple in buildings made of white, red or yellow gold. Individual orders body of any carat gold, 585, 750, 777, 888 or 999 - th carats. Only cast gold. It is not gold plated. It's a real gold, which never oblezet. 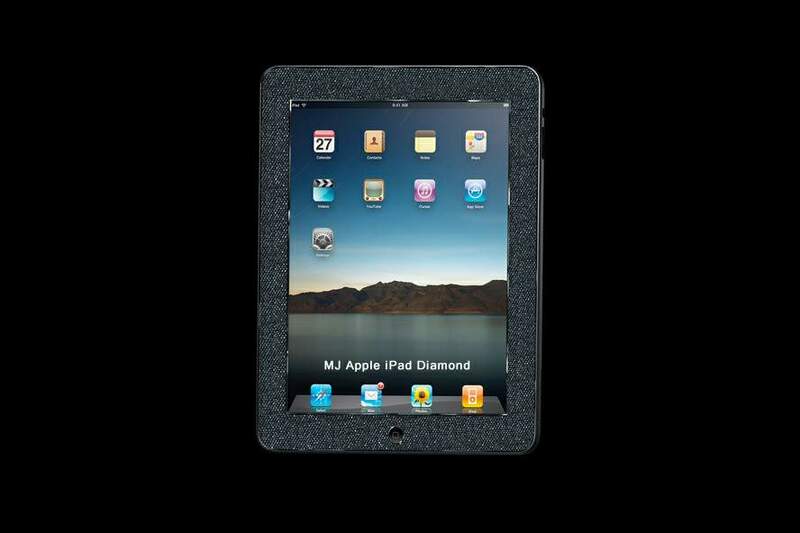 Diamond tablets - Diamond Apple iPad Diamond Edition by MJ. The plate encrusted with real diamonds. 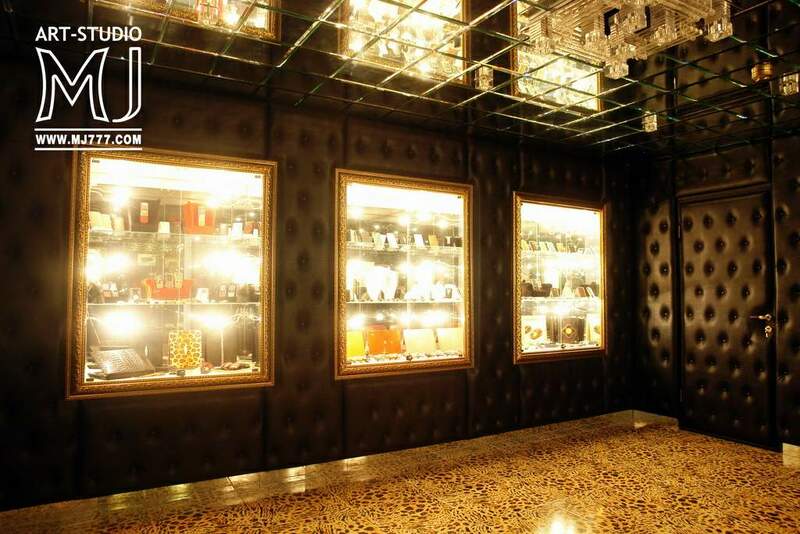 Individual orders can be any kind of inlaid precious stones or crystals crystal. Crocodile, Caiman, Alligator, Cobra, Anaconda, Python, Ray, Hippo, Lizard, Iguana, Elephant, Shark, Ostrich etc. 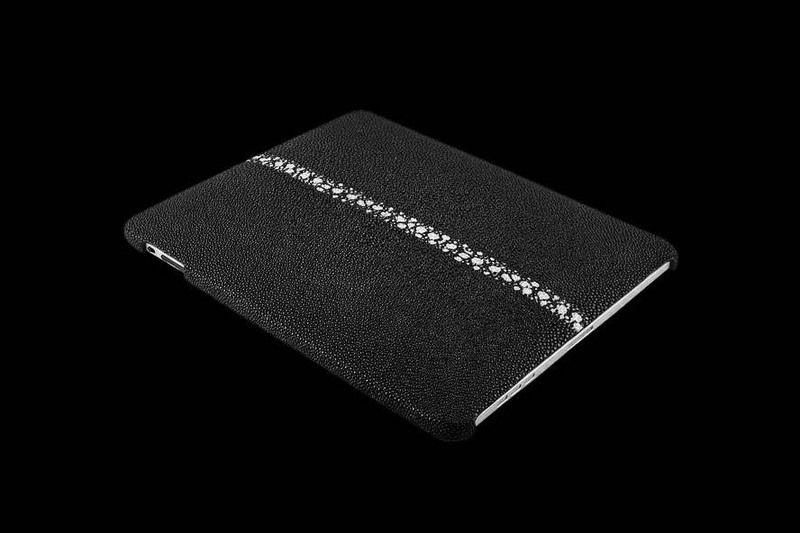 Luxury cases & covers for any models of Apple iPad Pro, Apple iPad Air, Apple iPad Mini etc.